Our growing conditions during summer 2016 were hot and humid. In July and August, we experienced a prolonged period of temperatures in the 90s coupled with high humidity. Our daytime highs made no meteorological records, but, when coupled with the high humidity, many days were downright brutal with the heat index making the temperature feel in excess of 100°F. In the month of July, our average night temperature was 72.8°F. The only night when the temperature dipped below 70°F was July 4, when the temperature was 68°F. According to the meteorologists, our high nighttime lows were the 4th highest since World War II. 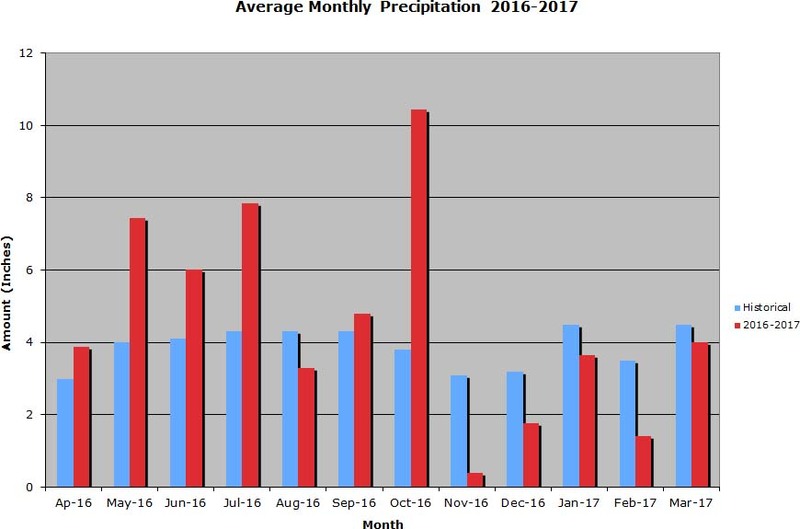 The 2016 summer season was challenging due to the frequent rainfall experienced during the early months of the growing period. These conditions were ideal for the development of plant pathogens. The 2016–2017 winter season was one long roller coaster ride. We experienced low temperatures in the teens to high temperatures in the low 80s. The entire season was made up of rapid cycles of warm temperatures followed by freezing temperatures. There was no gradual transition from cold to warm to cold at any time. November temperatures were only slightly on the warm side. The first freezing event occurred on November 13 with a low temperature of 28°F. 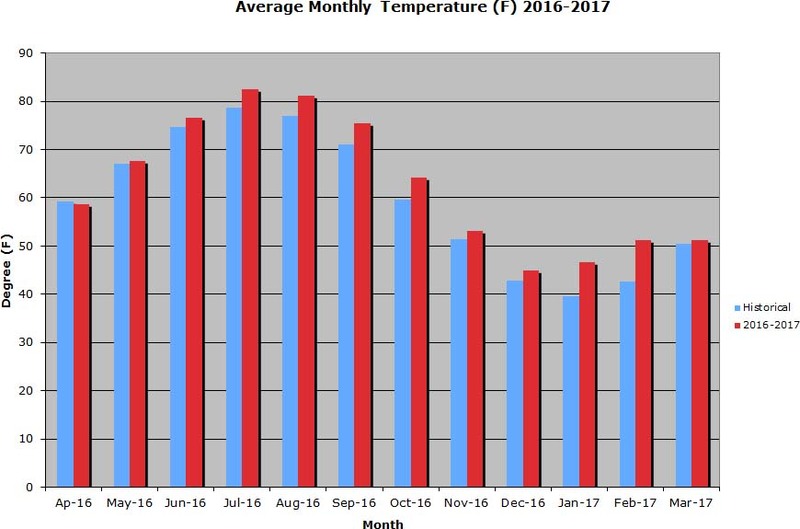 Our "meteorological winter" (December–February) had well above normal temperatures with February breaking historical records. In January, we had seven straight days of below freezing night temperatures with daytime highs in the 30s and 40s. Our coldest night, 11°F, was on January 9. February goes down in the weather books as the warmest in 130 years. We had three days of temperatures 80F or higher! In March, we had eight back-to-back days of sub-freezing temperatures with daytime highs in the 40s and 50s. Our March average temperatures were lower than those in February. The rain total for October was 10.45" when Hurricane Matthew devastated our state! November was a very dry month (0.39") making November 2016 the 9th driest since 1887. The reminder of the season was on the dry side, with January and March closest to the norm. 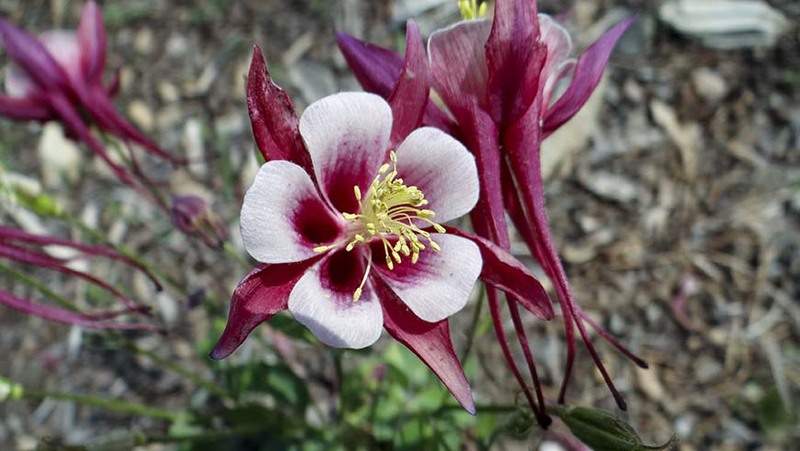 Flowers are a bright yellow color; bloomed from late May through the end of August; flowers covered plants. 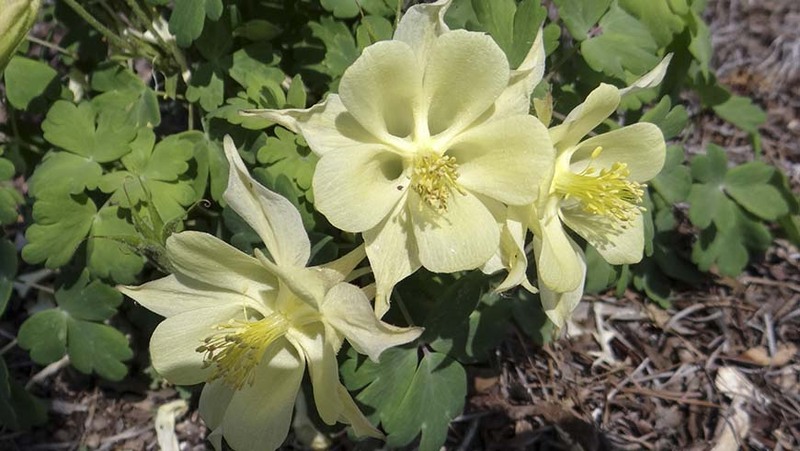 Plant forms a small mound; double flowers; flowers have frilly petals; flowers are a clear yellow color; bloomed from May to early October. 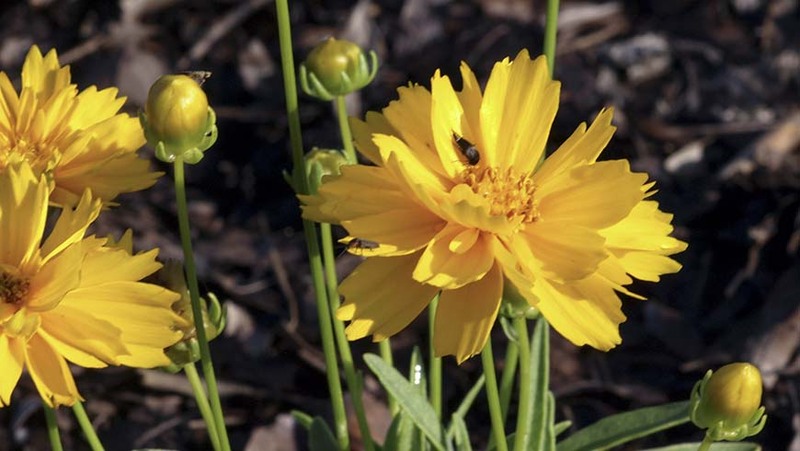 Plant forms a small mound; single flowers are a clear yellow color; bloomed from late May to early October. 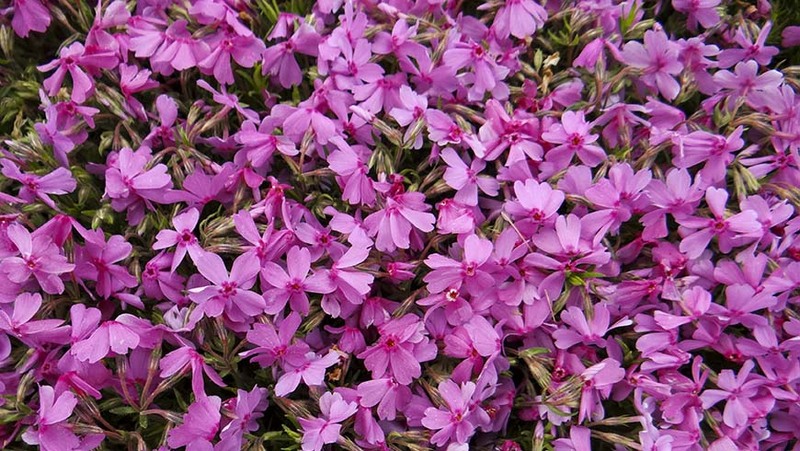 Attractive shape, nice and tidy; low growing mounds of green foliage with beautiful pink flowers that cover the plant; bloomed from May through late November; in year 2 the mounds knitted together. 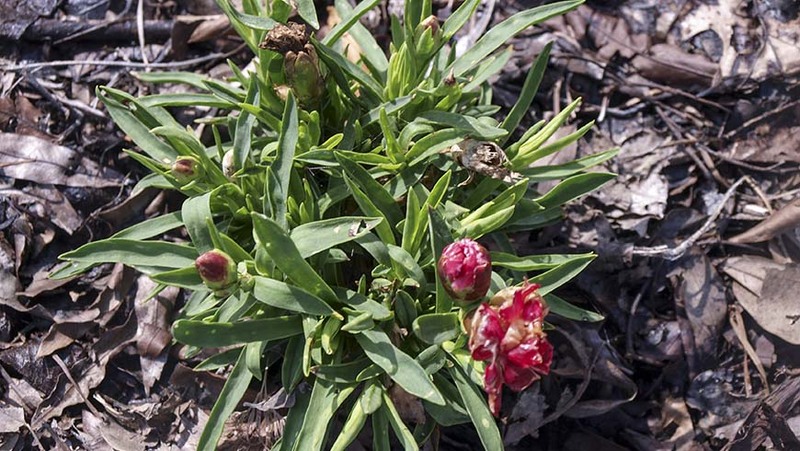 Interesting double flowers that are deep red with light pink edge color; bloomed mid-March through early January; mounding plant habit. 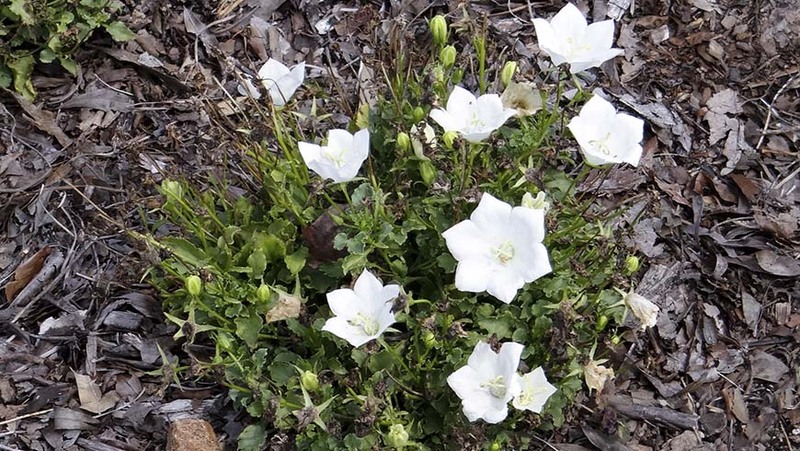 Low growing, mounding plant habit with silver-green foliage; attractive clear white flowers; bloomed May through early January. 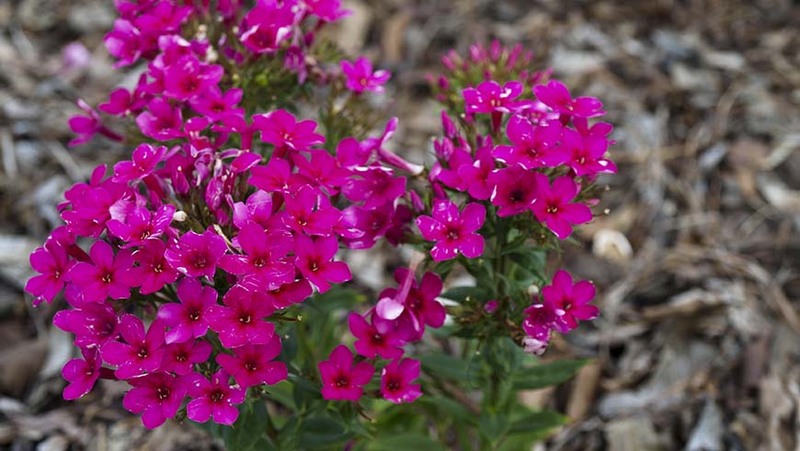 Compact plant habit; large flowers are a rosy-pink color; bloomed June thru July then again September to late November. The lone survivor died early July 2016. 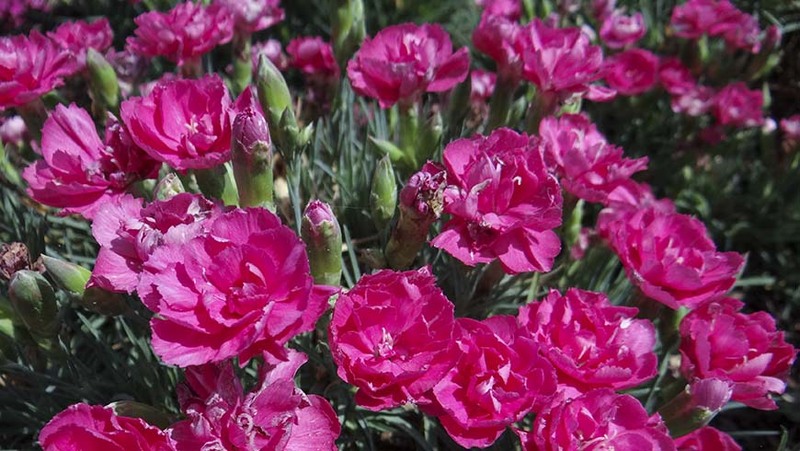 Low maintenance; tight compact clumps of green; great flower power; flower color is a pale pink with a dark purple center; bloomed end May through early September. 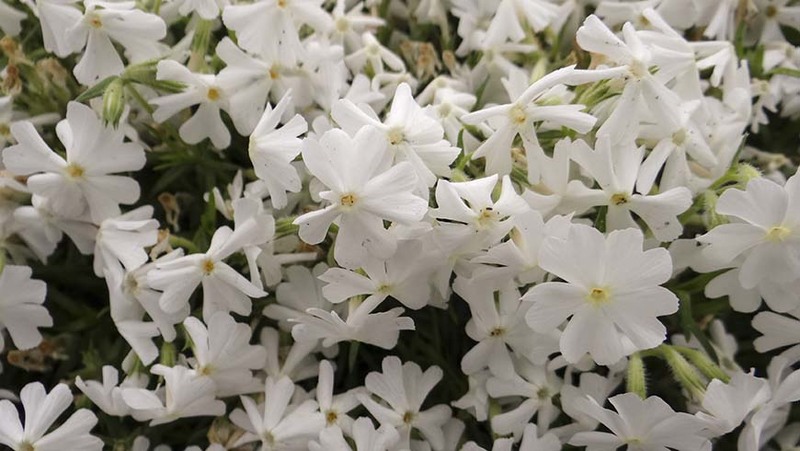 Low maintenance; tight compact clumps of green; flower color is a pure, clean looking white; bloomed mid-June through July. 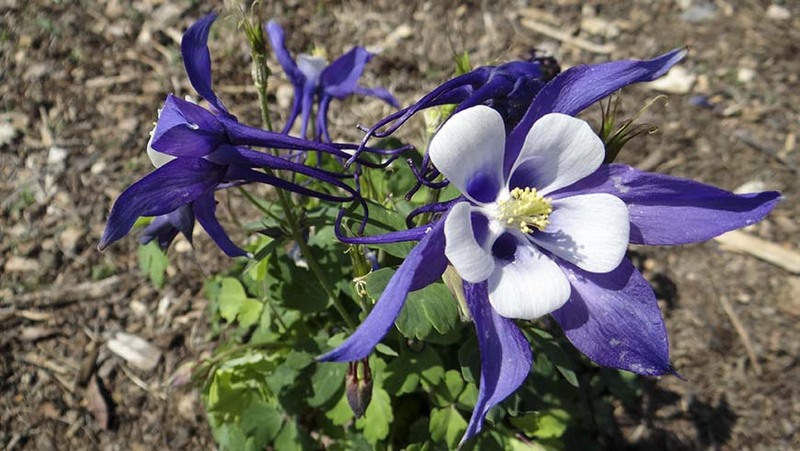 Low maintenance; tight compact mound of green needle-like foliage; great flower power; bloomed October to mid-February; flowers are soft blue with a dark blue center- there are some plants with bare spots in the crown. 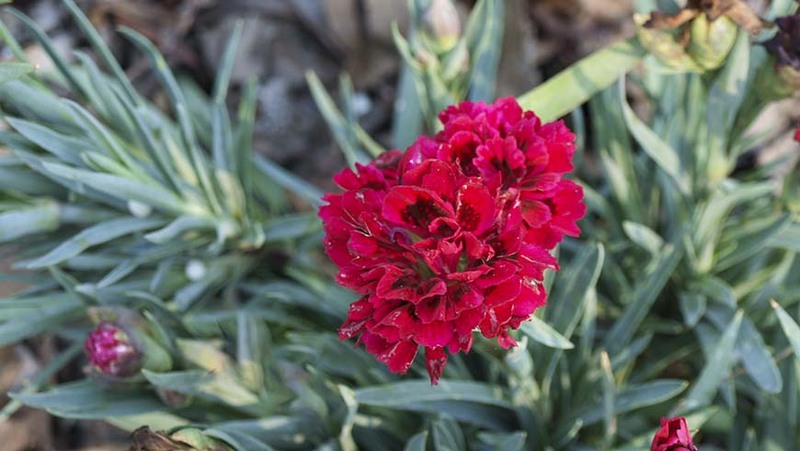 Low maintenance; tight compact mound of green needle-like foliage; great flower power- plants are totally covered with color; has got spring WOW! 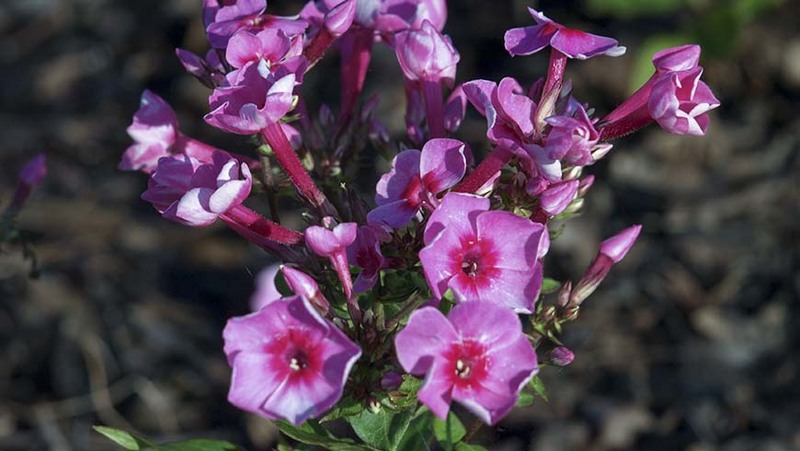 ; flower color is a deep pink; bloomed July then again mid-October through late spring. 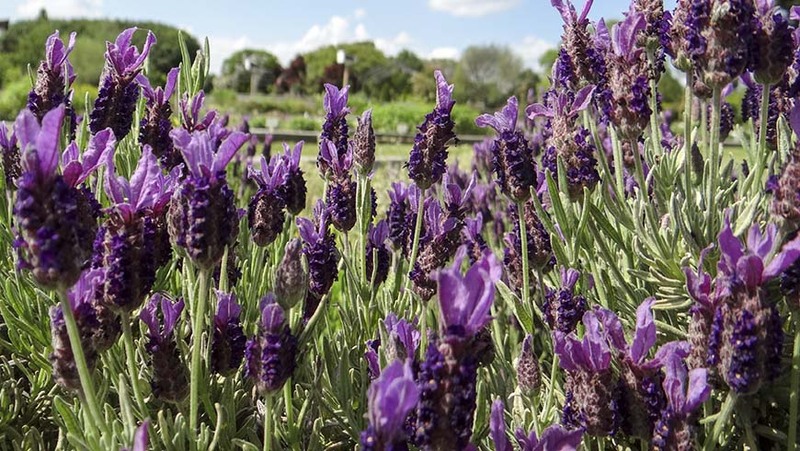 Low maintenance; tight compact mound of green needle-like foliage; flowers are pale purple and located mainly around the edge of the plants; great flower power; bloomed sporadically July and August then again November to late spring. 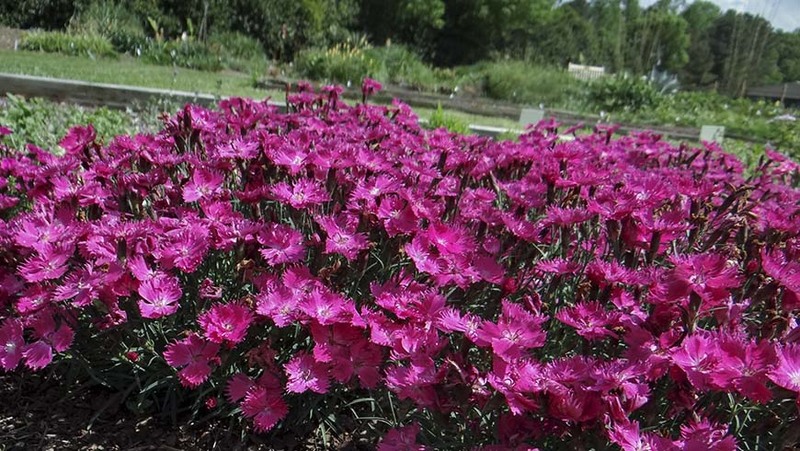 Low maintenance; tight compact mound of green needle-like foliage; bloomed March thru April 2016; flowers are pink with a deep pink center. 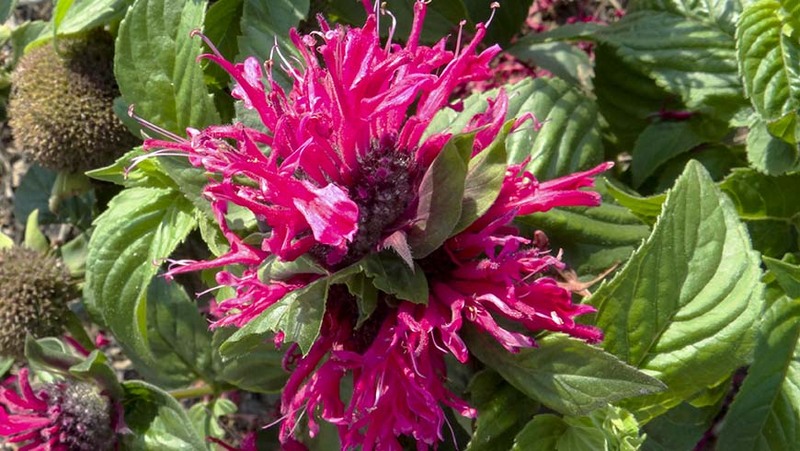 Low maintenance; tight compact mound of green needle-like foliage; great flower power- plants are totally covered with color; has got spring WOW! 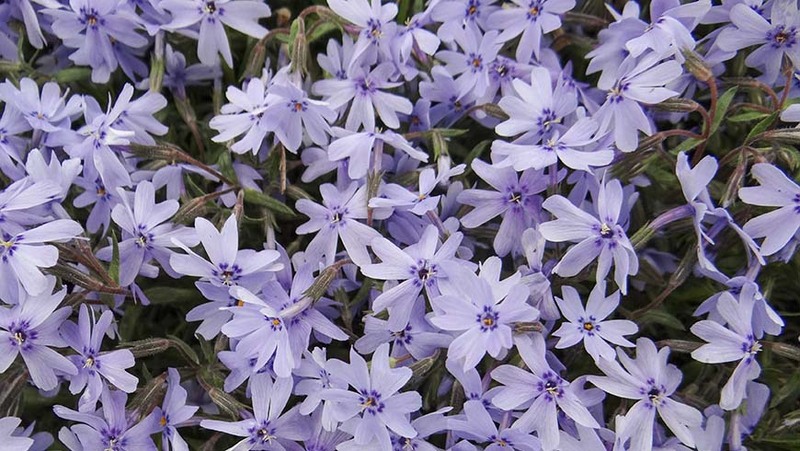 ; bloomed November to late spring; flowers are purple. 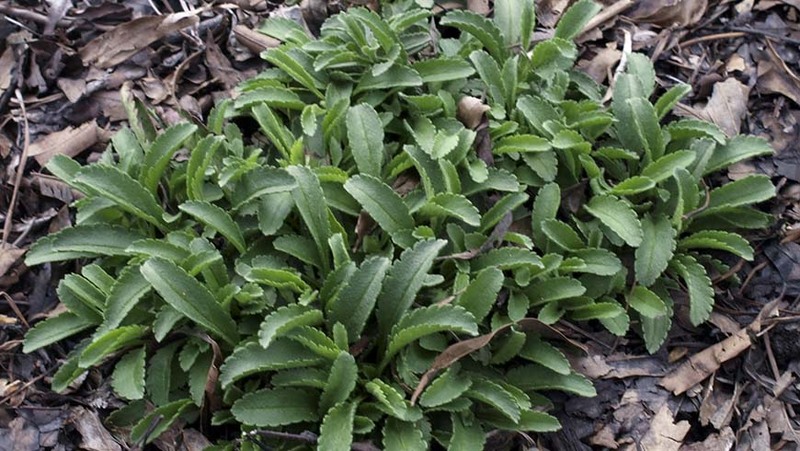 Low maintenance; tight compact mound of green needle-like foliage; great flower power; has got spring WOW! 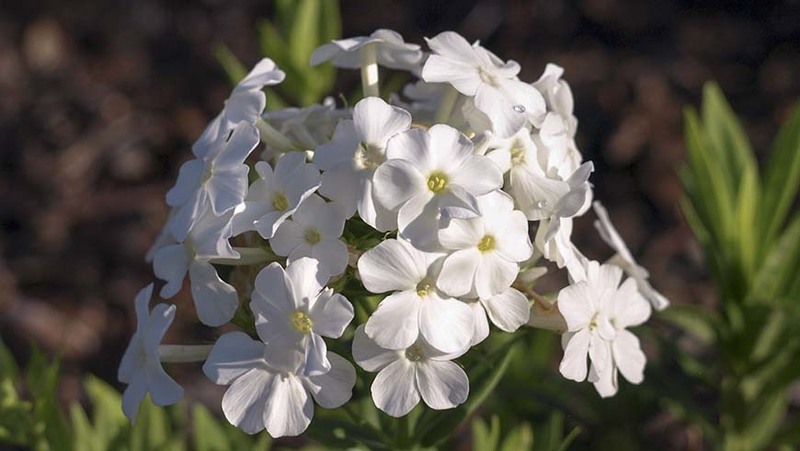 ; flower color is pure white-very few bare spots in the crown; bloomed mid-March to early May. 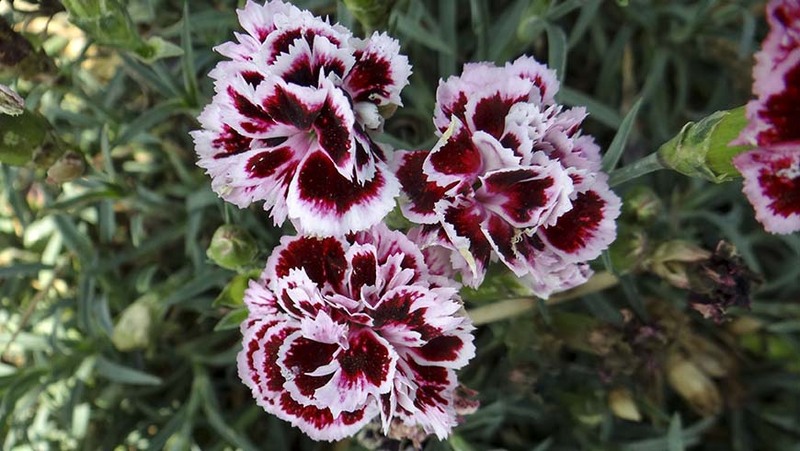 Low maintenance; tight compact clumps of green; great flower power; bloomed June to early September; flowers are light pink with a dark pink center. 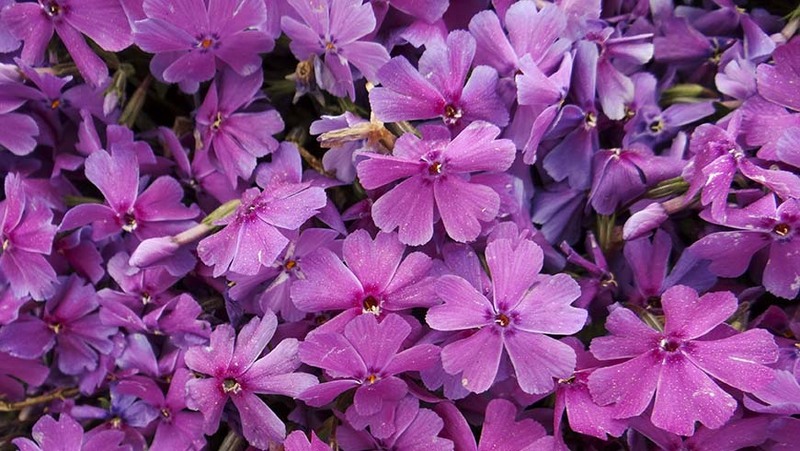 Low maintenance; tight compact clumps of green; great flower power; bloomed late May to early November; flowers are purple. 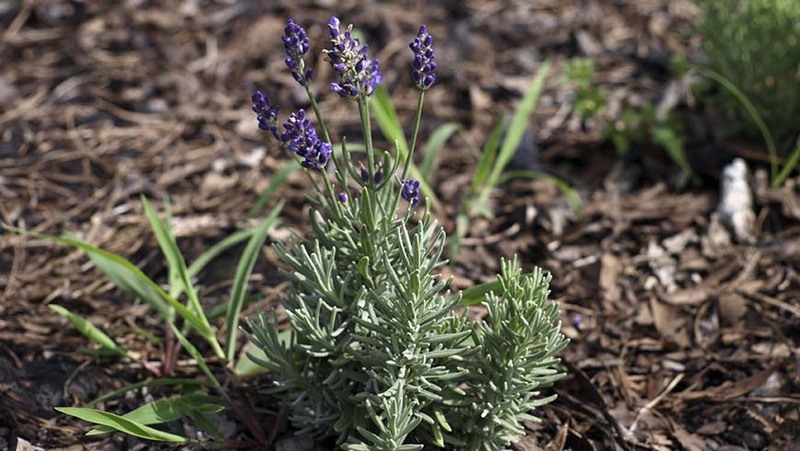 Short, uniform, well branched plants; prolific bloomer; flowers are a dark blue color; bloomed from late April to early December. 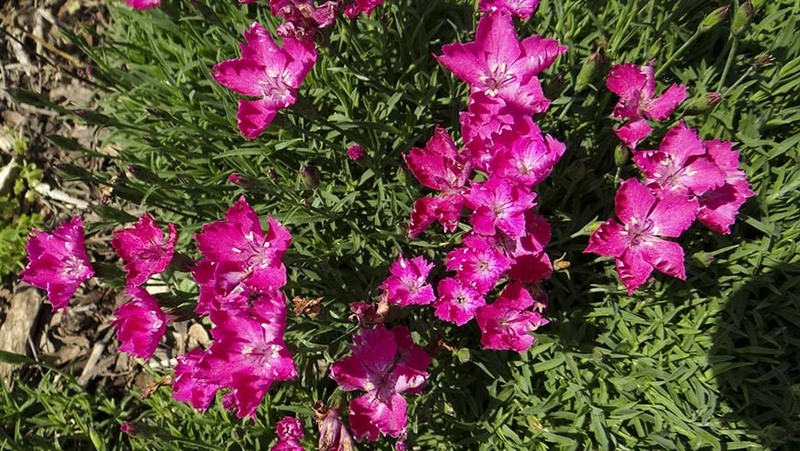 Compact, well branched plants; attractive spikes of pink flowers; bloomed from late April to September; only one survivor. 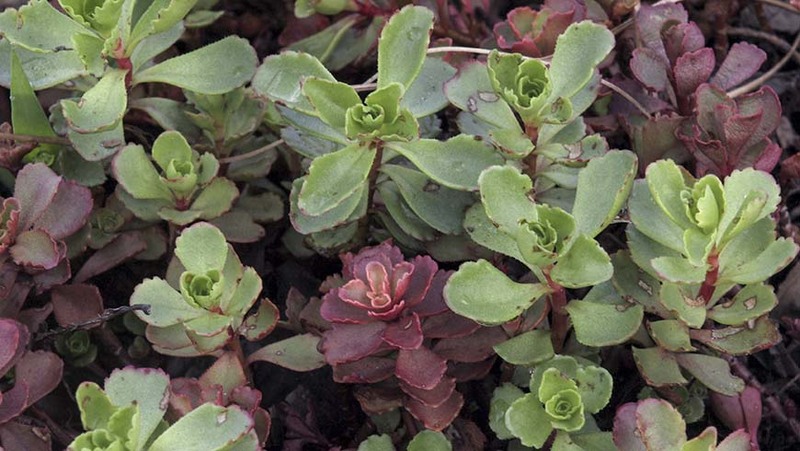 Groundcover that tightly hugs the ground; green fleshy leaves turn a beautiful crimson red in the winter; no flowers. 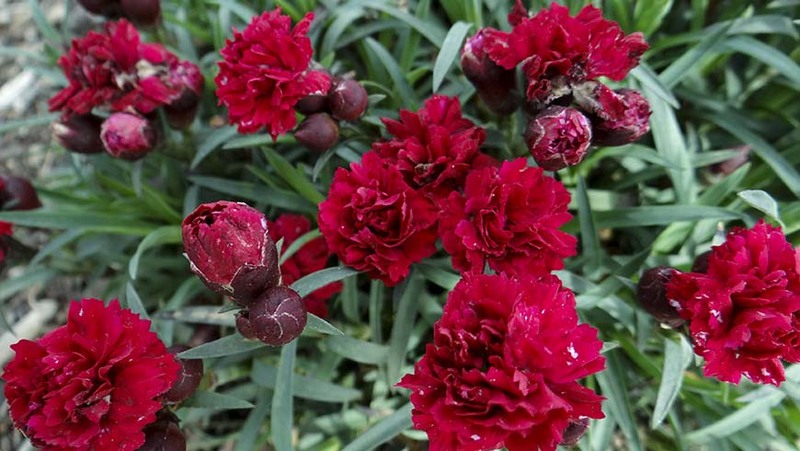 Very compact, well branched plants; flowers are a deep rose/red color; bloomed sporadically in August, died September 2016 (possibly due to heavy rains). 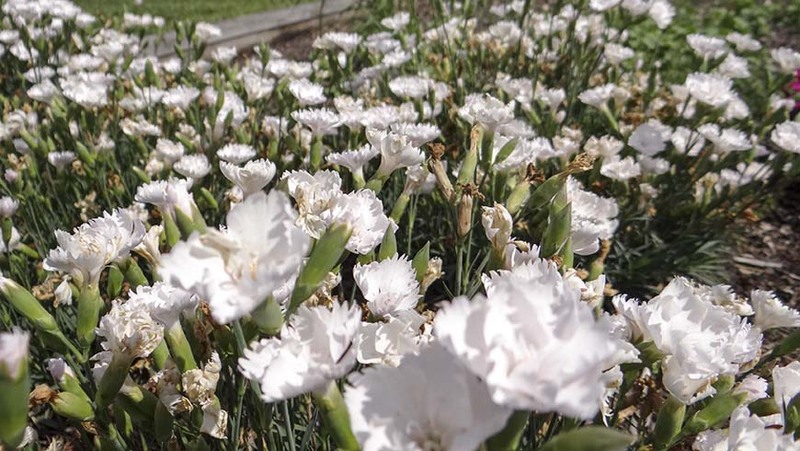 Formed nice sized clumps that withstood the heat until late August; flowers are white center petals surrounded by deep blue reflexed petals. 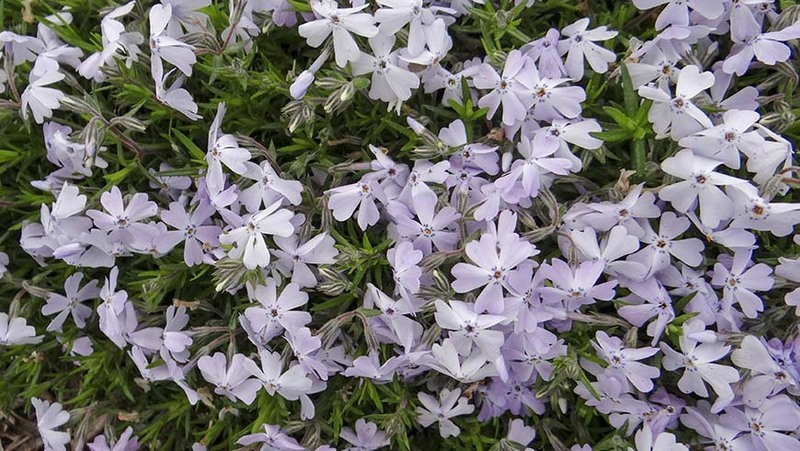 Formed small sized clumps that withstood the heat until late August; attractive bicolored flowers-white center petals surrounded by light blue/lavender reflexed petals; flowered late July to mid-August. 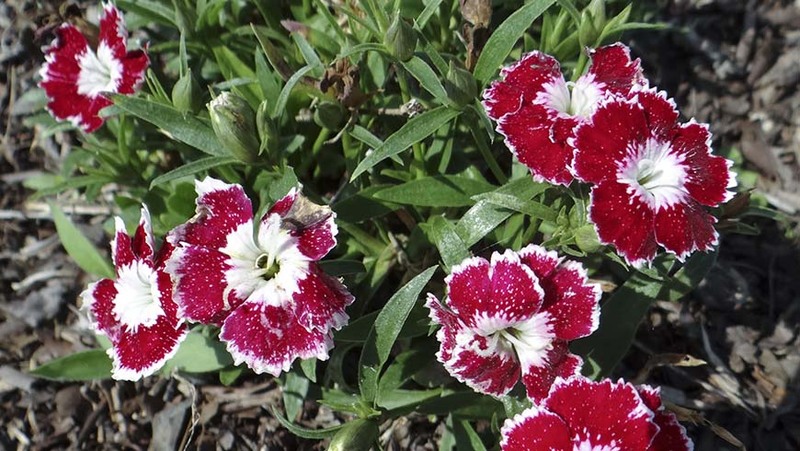 Formed nice sized clumps that withstood the heat until late August; flower are white center petals surrounded by red reflexed petals. 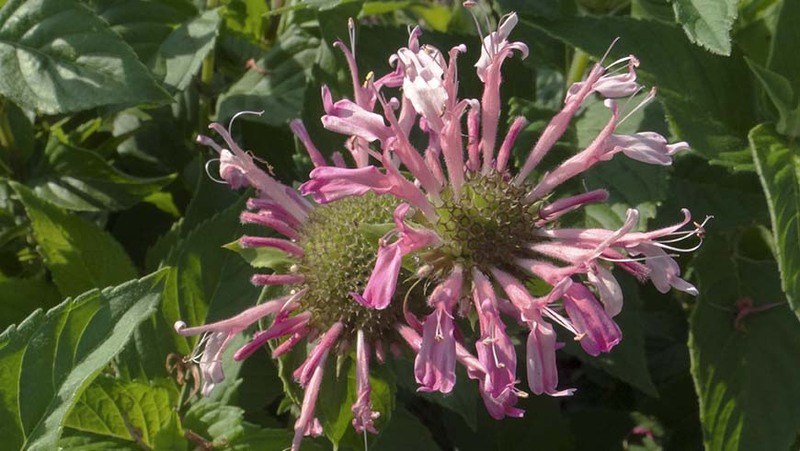 Formed nice sized clumps that withstood the heat; attractive bicolored flowers-center of pale pink petals with deep rose reflexed petals; flowered early August. 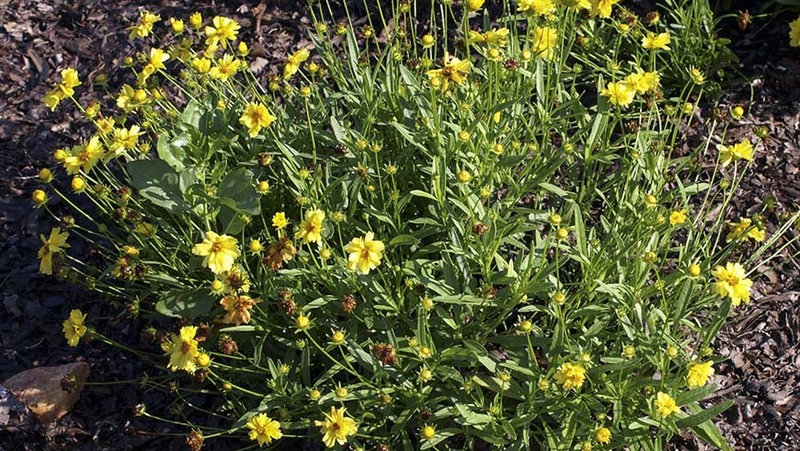 Formed nice sized clumps that withstood the heat; Attractive light yellow flowers; flowered sporadically in August to early September then again in April. Never established; dead by mid-July. 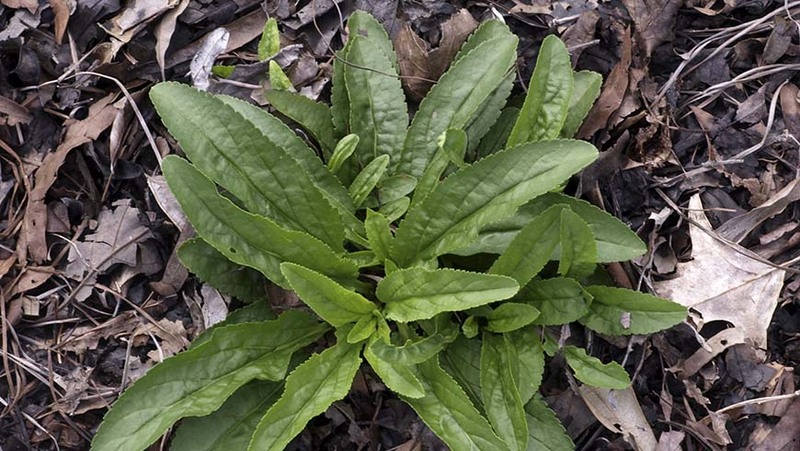 Small plant covered in small white flowers; Never established; dead by late August. 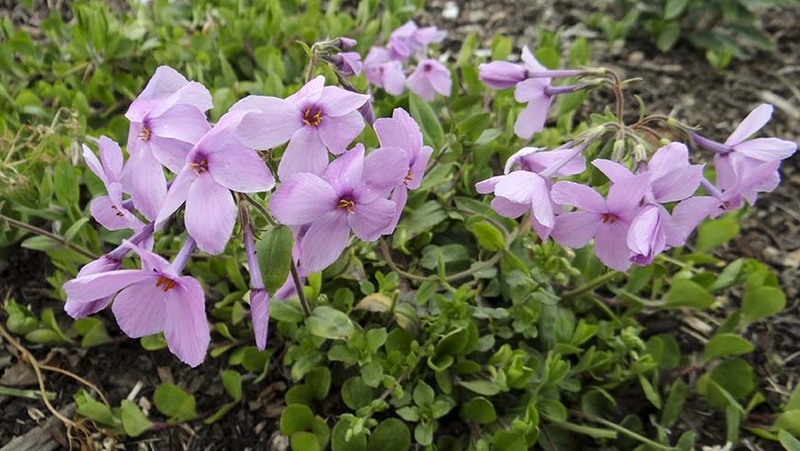 These plants have struggled to survive; Pale pink flower on one plant; Attractive fall /winter foliage- leaves turn a reddish purple; large oval shaped leaves. Never established; dead by late July. Never established; dead by late June. 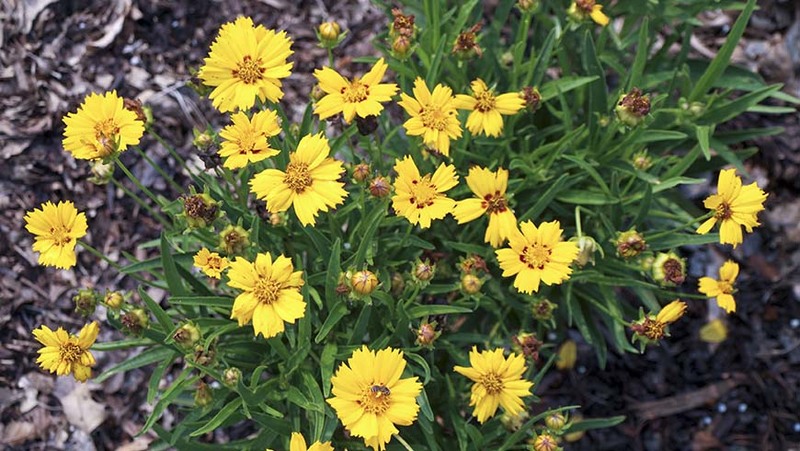 Attractive double golden colored flowers; Flowered sporadically from June to late July; Died by mid-October; late season rain?? 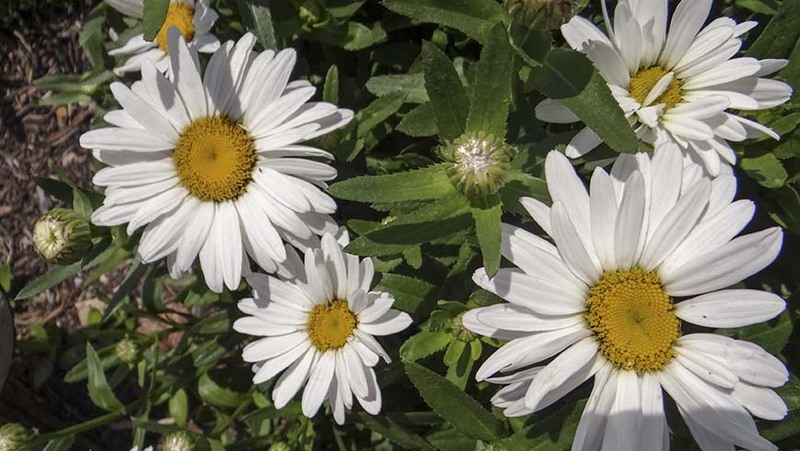 Low maintenance; Attractive ground cover; interesting foliage-evergreen, long, green, cylindrical leaves; Daisy-like flowers- clear, white petals with yellow center; flowered from May to mid-November. 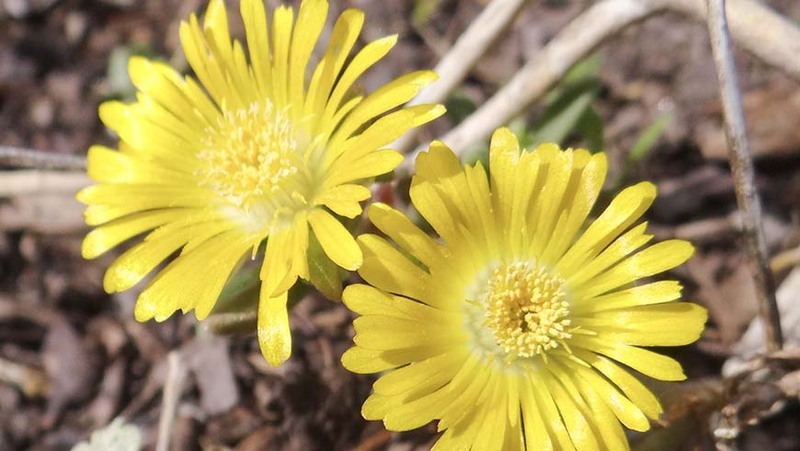 Low maintenance; Attractive ground cover; interesting foliage-evergreen, long, green, cylindrical leaves; Daisy-like flowers- clear, bright yellow petals with matching center; flowered from May to late-November. 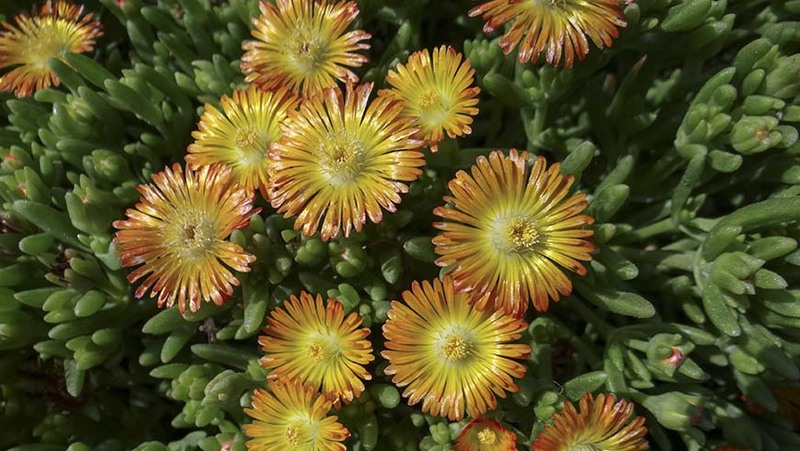 Low maintenance; Attractive ground cover; interesting foliage-evergreen, long, green, cylindrical leaves; Daisy-like flowers- clear, orange petals with bright yellow center; flowered from May to mid-November. 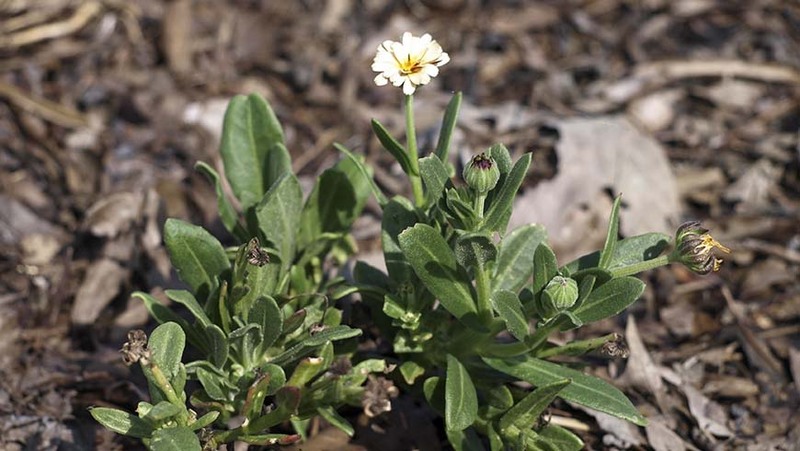 Low maintenance; Attractive ground cover; interesting foliage-evergreen, long, green, cylindrical leaves; Daisy-like flowers- clear, orange petals with yellow center; Longest blooming- flowered from May to early December. 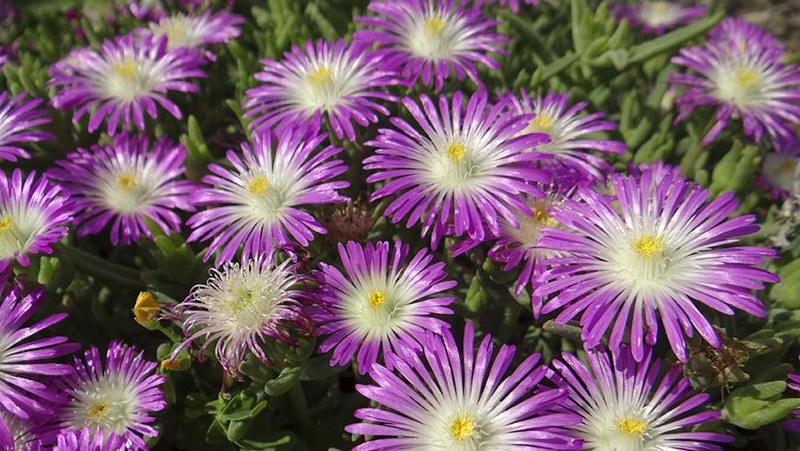 Low maintenance; Attractive ground cover; interesting foliage-evergreen, long, green, cylindrical leaves; Daisy-like flowers- clear, magenta petals with white center; flowered from May to late-November. 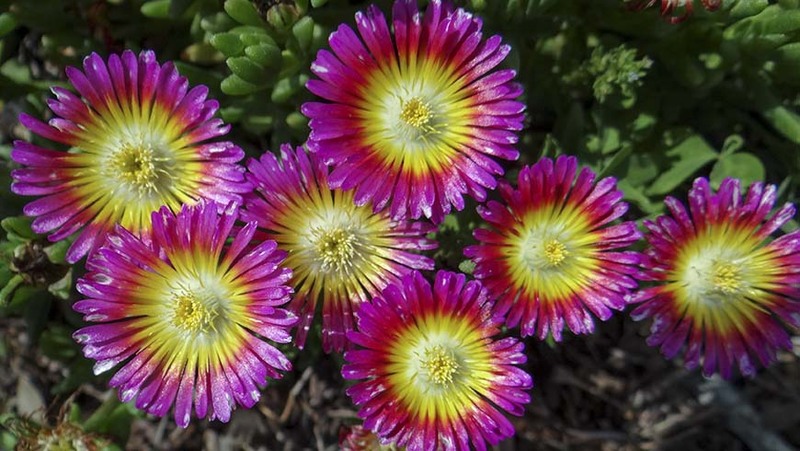 Low maintenance; Attractive ground cover; interesting foliage-evergreen, long, green, cylindrical leaves; Daisy-like flowers-bright pink petals with yellow center; flowered from May to mid-November. 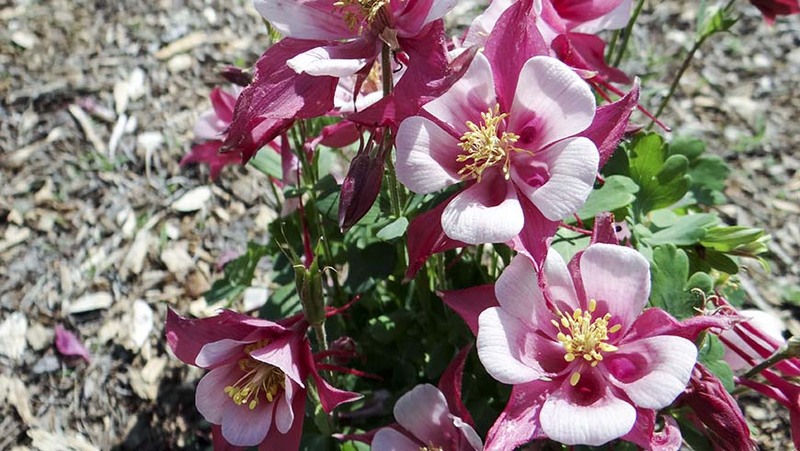 Attractive bicolor flowers; dead by mid-July. Never established; dead by early July. 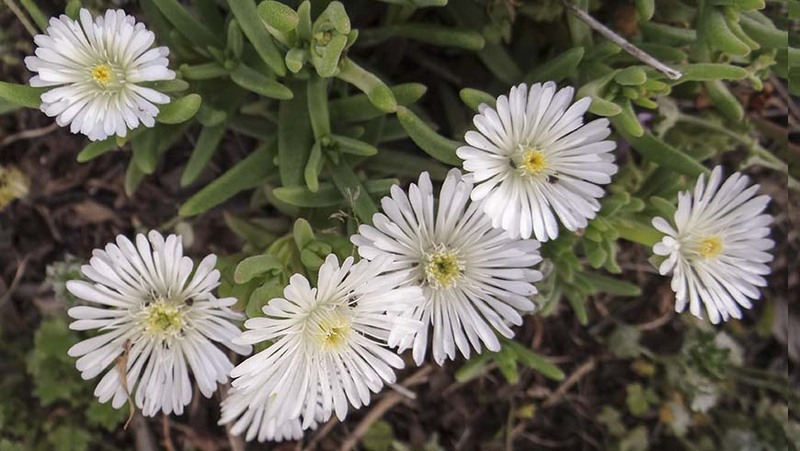 Uniform, low mounding, tidy plant habit; narrow silver-green leaves; Evergreen foliage; Single flowers are a light pink to white in color; flowered from June through the first of January. 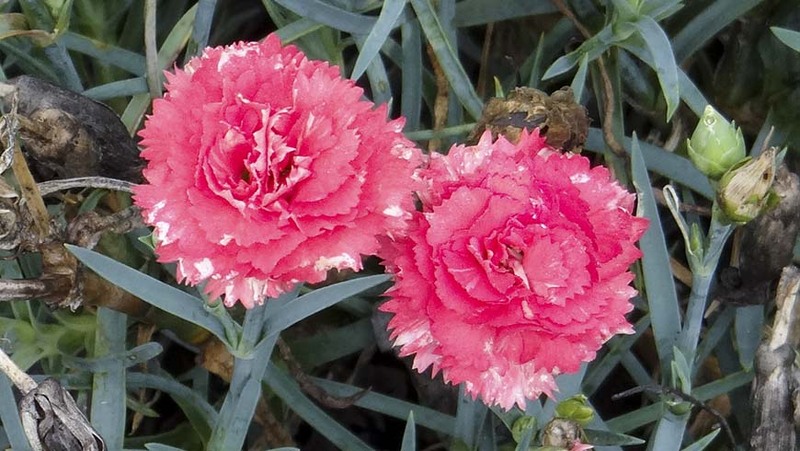 Uniform, low growing, mounding plant habit; narrow green leaves; Evergreen foliage; Single fringed five-petal flowers are a bright pink color; flowered from May through late November. 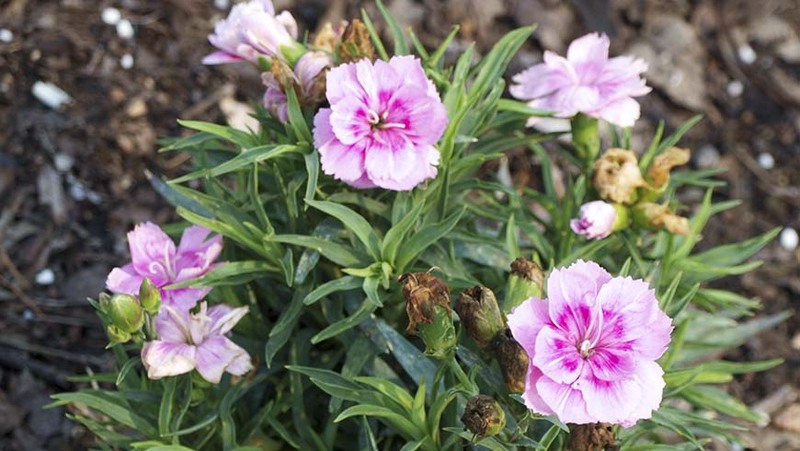 Uniform, mounding, tidy plant habit; narrow silvery-green leaves; Evergreen foliage; Single five-petal flowers are a pink color; flowered from June through late November. 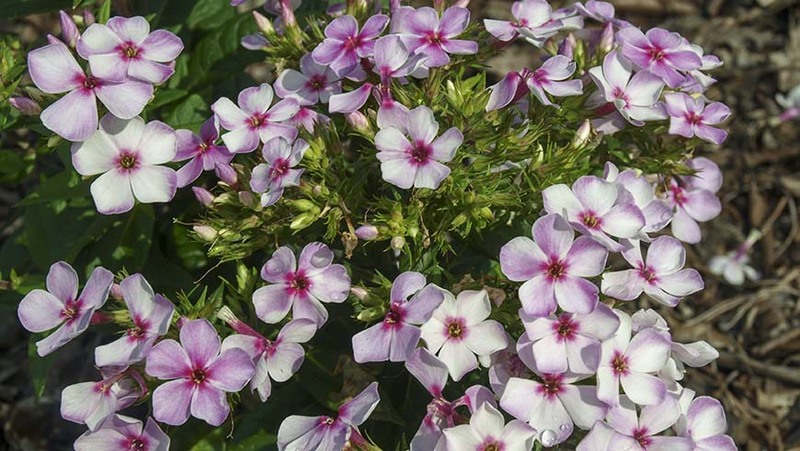 Uniform, compact mounds of silver evergreen foliage; semi-double five-petal flowers are a bright pink color; flowered from late-July through early December. 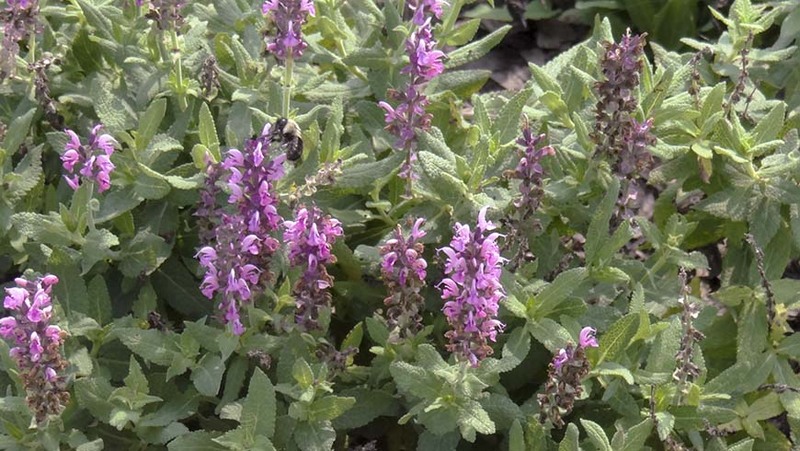 Uniform, low mounding plant habit; green leaves; Evergreen foliage; flowers are a purple color; flowered from June through late November; most plants had major dead areas. 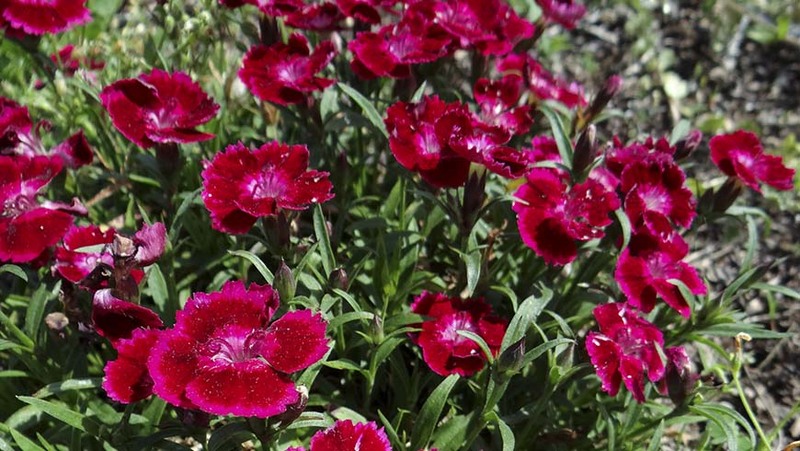 Uniform, tidy ground hugging plant habit; green leaves; Evergreen foliage; Bicolored flowers are a dark red with bright pink centers and edges; flowered from May through early December. 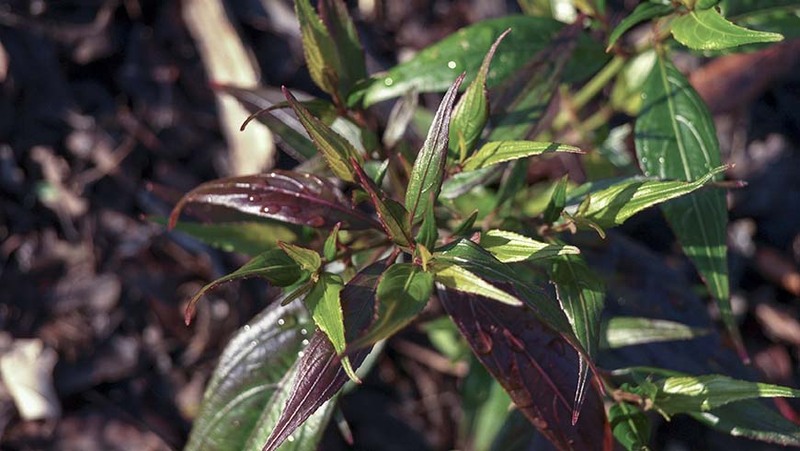 Uniform, petite mounding plant habit; green leaves; Evergreen foliage; Bicolored flowers are a dark red with clear white centers and edges; flowered from May through early December. 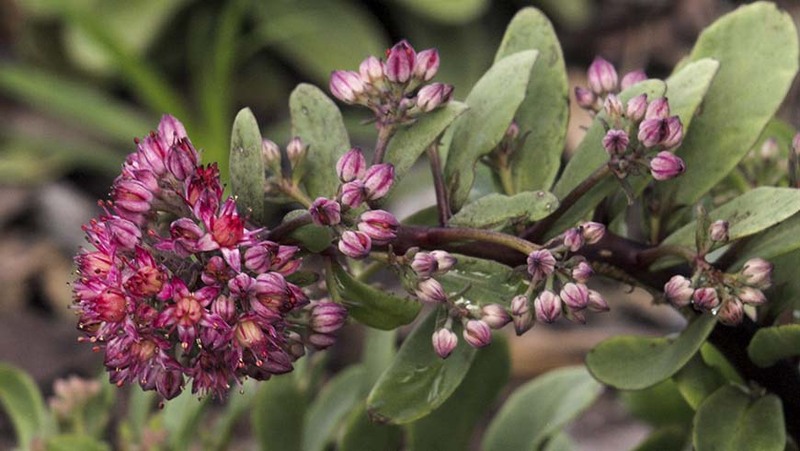 Uniform, mounding plant habit; narrow silvery-green leaves; Evergreen foliage; Double flowers are a deep red color; flowered from June through late November; most plants have major dead areas. 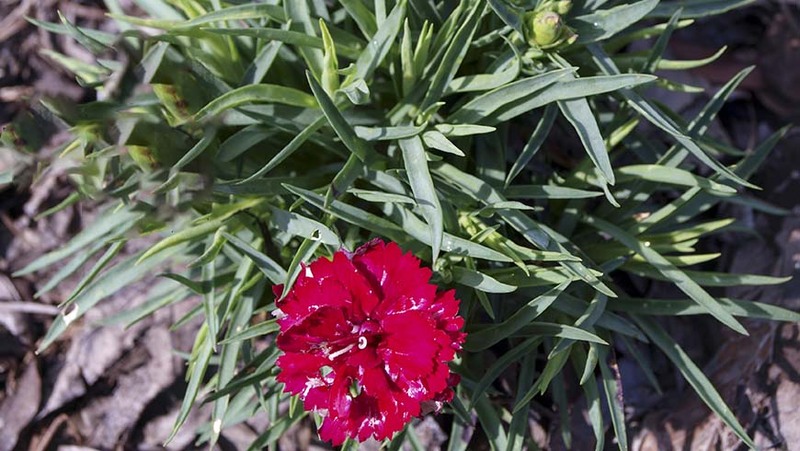 Uniform, mounding plant habit; narrow deep green leaves; Evergreen foliage; Double flowers are a velvety red color; As the name says, there is an explosion of flowers that cover the plant; flowered from June through late November. 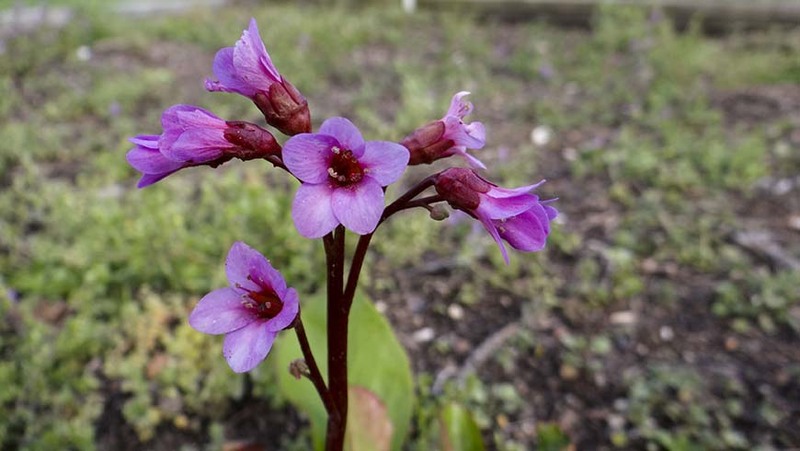 Uniform, small mounding plant habit; narrow green leaves; Evergreen foliage; Bicolored flowers are red with deep red, almost black, centers; flowered sporadically from May to June, then again in November. 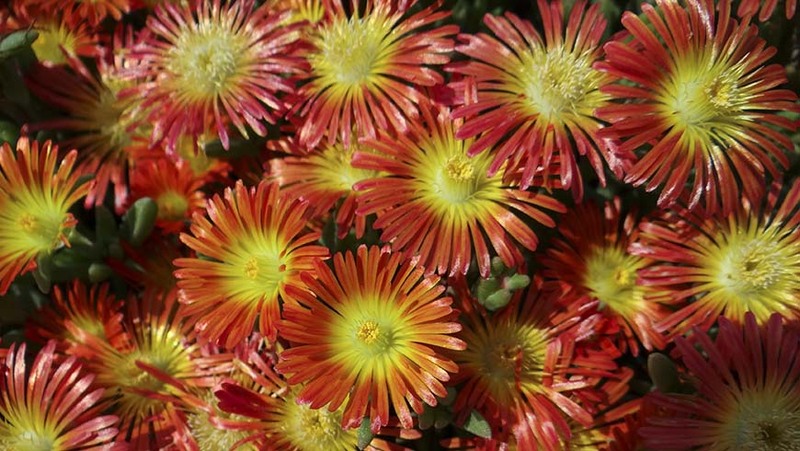 Uniform, small mounding plant habit; narrow green leaves; Evergreen foliage; Double flowers are an orange red color; flowered from May through early November; only one plant has survived. 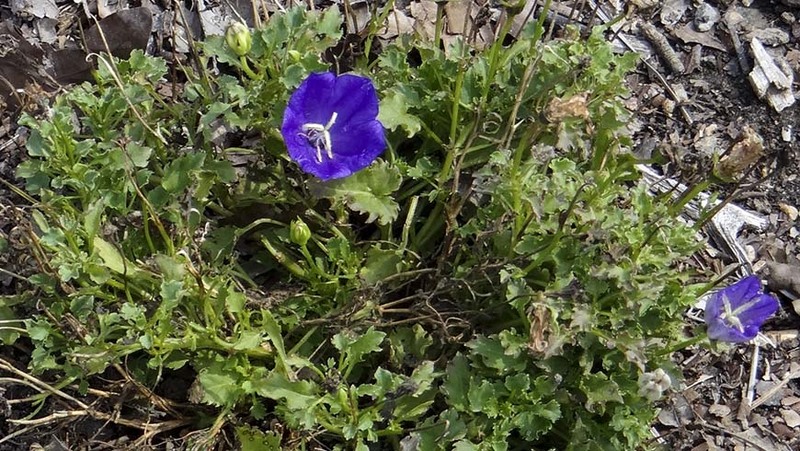 Uniform, mounding plant habit; narrow green leaves; never flowered; dead by mid-July. 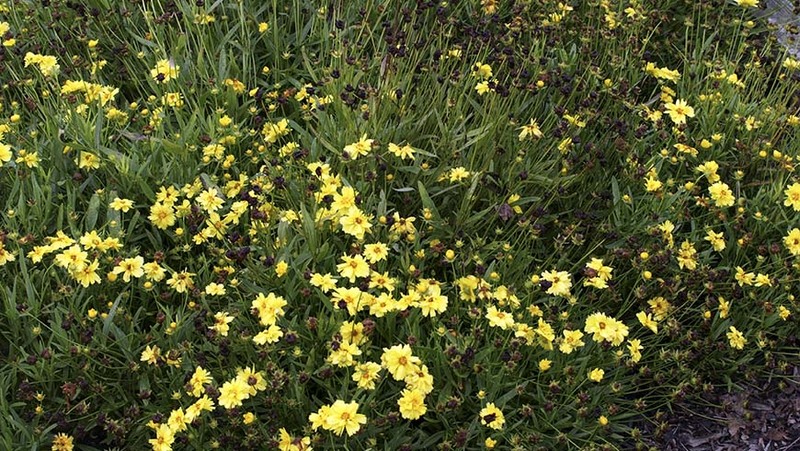 Uniform, mounding plant habit; narrow green leaves; bicolored flowers are red with white edges; flowered sporadically from June to July; Died Winter 2017. 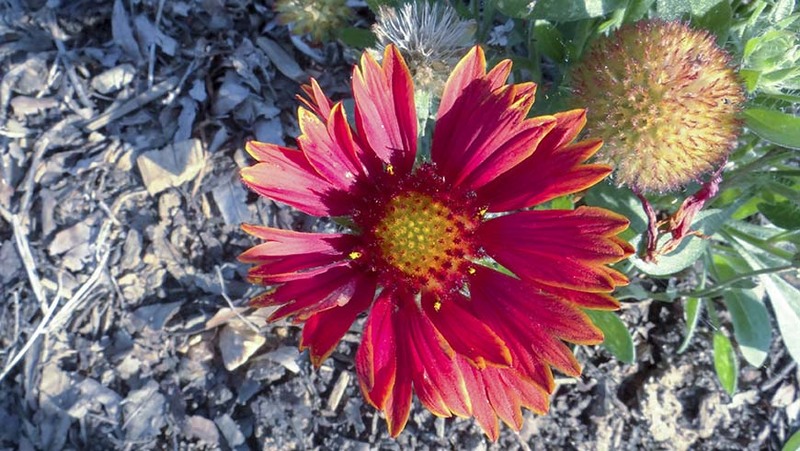 Low maintenance; Attractive red flowers with a yellow rim; Flowered from July to December; uniform, compact neat plant habit; lots of flowers-pollinators loved it! 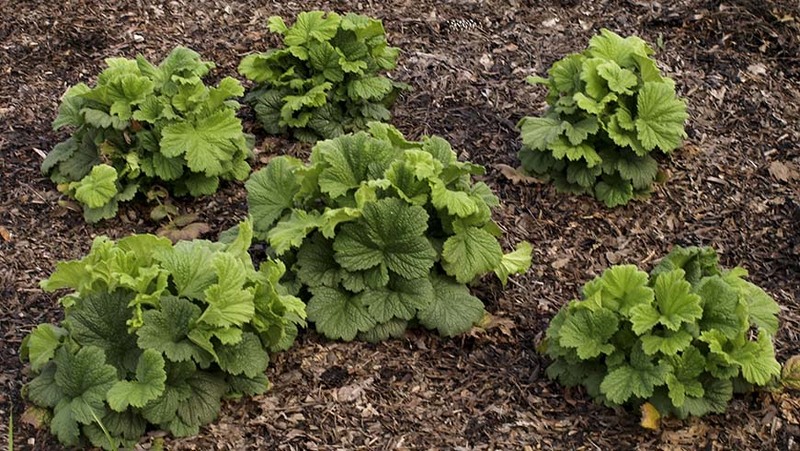 Beautiful large green leaves formed attractive mounds; heat at the end of August - September caused these plants to die. 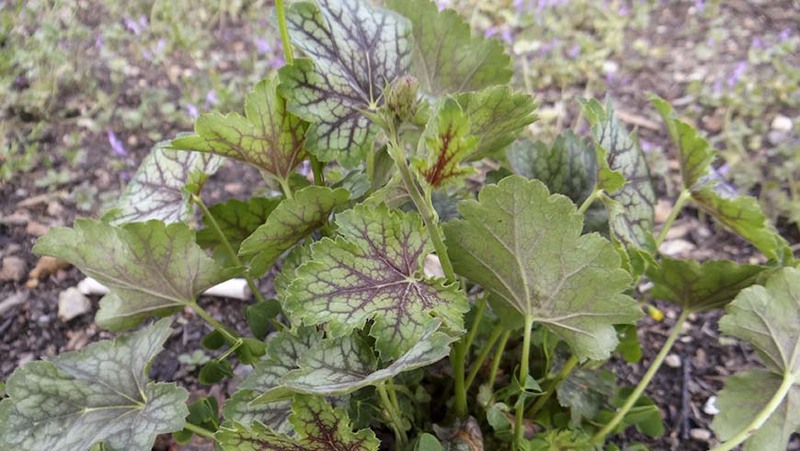 These plants have struggled to survive; Attractive foliage with changing leaf color- in winter leaves are purple going to green with dark reddish veins as the seasons progress. These plants did not thrive in our conditions- only one survivor, a continuous season long decline; All but 1 dead by December, Small leaves are a dark purple almost black color. 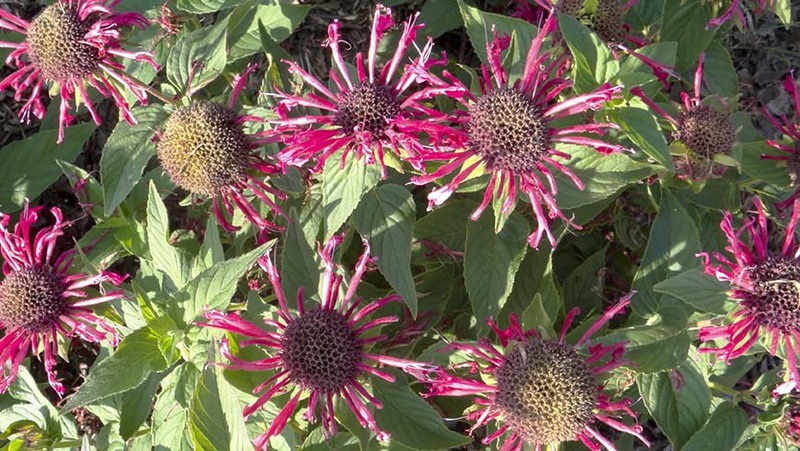 Never established; dead by September; Eye catching, bright, clear-green foliage; full sun was too much for the plants. 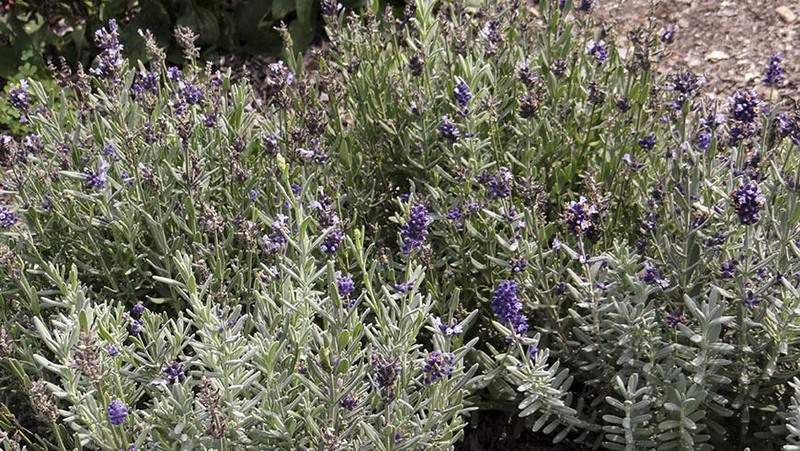 Tight, well-branched growth; Silver evergreen foliage; dark purple flowers- flowered from mid-June thru July then again from mid-September thru November; has struggled. 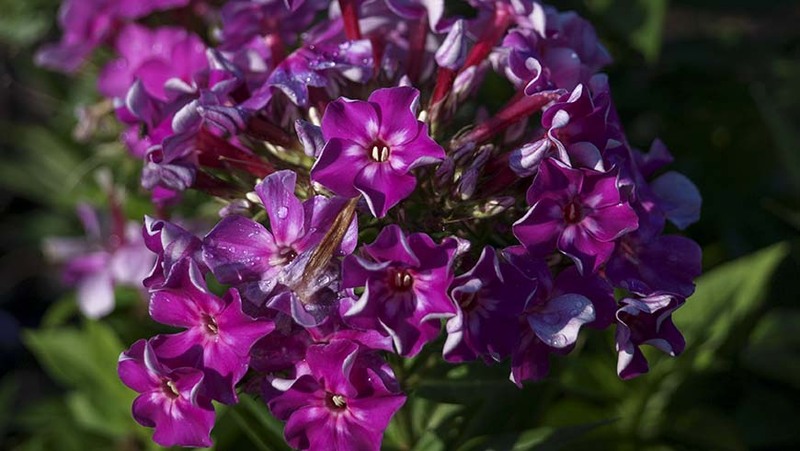 Uniform, tight, well-branched growth; dead centers on some of the plants; silvery-green foliage; loaded with purple flowers- flowered from May thru June. 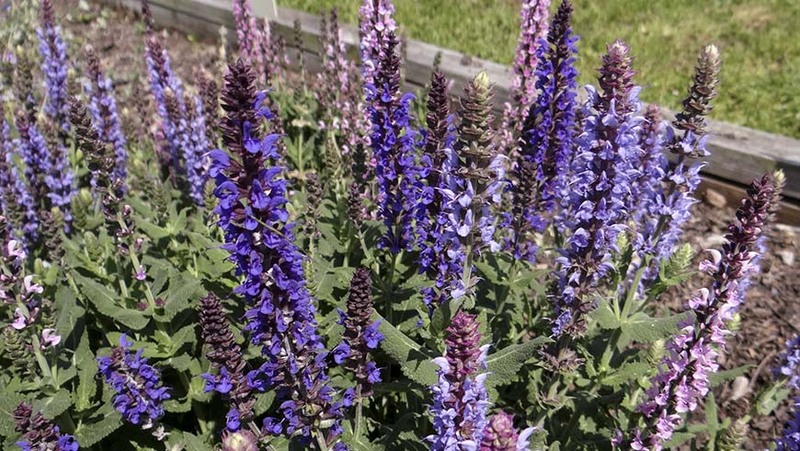 Uniform, tight, well-branched growth; Green foliage; dead centers on some of the plants; loaded with flowers- flowered from May thru mid-July then again from October thru mid-November; nice contrast of deep purple flowers against green foliage. 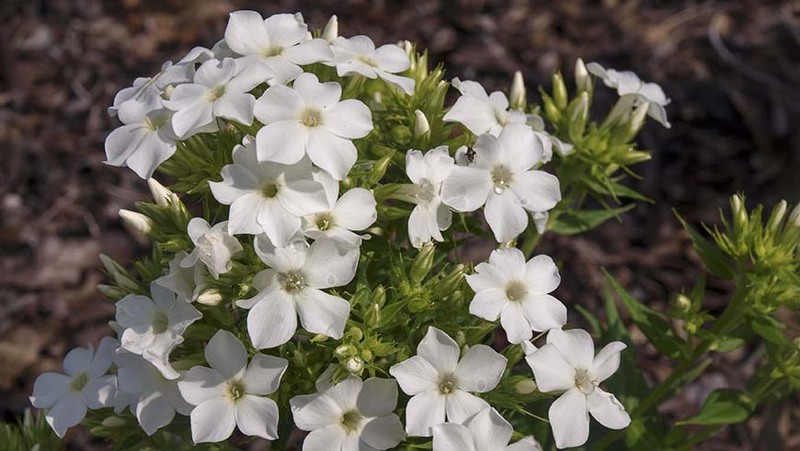 Low maintenance; Attractive deep green foliage; plants are uniform and compact; large flower head-clear white petals with yellow center; flowered from mid-June to late August and again the month of December. 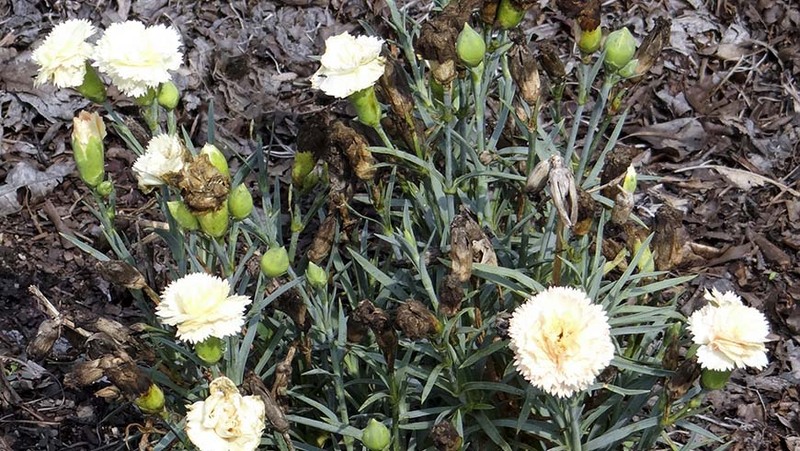 Powdery mildew a late season problem- Heavy; In spring 2017 the new growth formed a heavy spreading mat; attractive pink colored spider shaped flowers; flowered from end of July to early September; pollinator friendly. 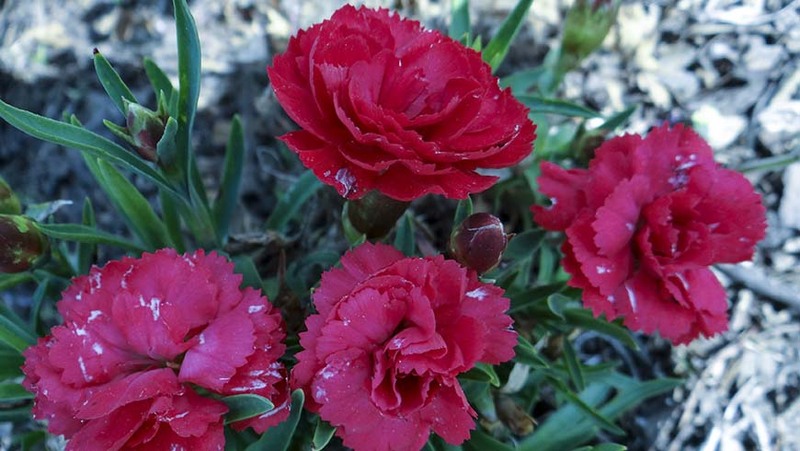 Powdery mildew a late season problem- Heavy; In spring 2017 the new growth formed a heavy spreading mat; attractive red colored spider shaped flowers; flowered from August to end of October; pollinator friendly. 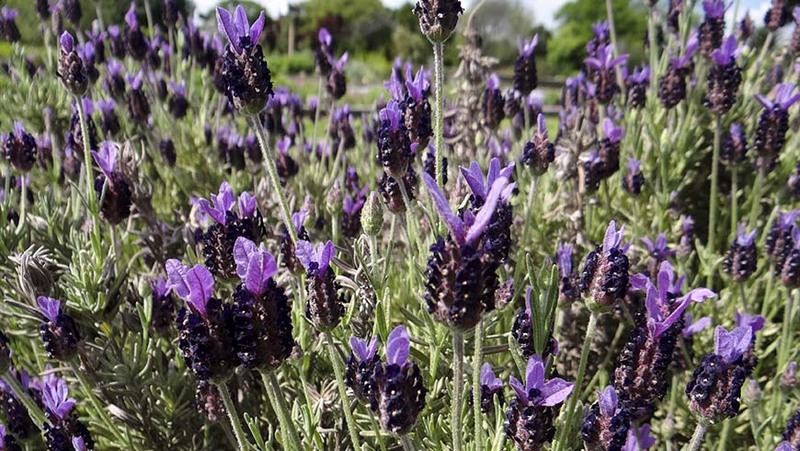 Powdery mildew a late season problem- Moderate; In spring 2017 there was both matting with some clumping at the base of the original plant; attractive lavender-purple colored spider shaped flowers; flowered from August to Nov.; pollinator friendly. 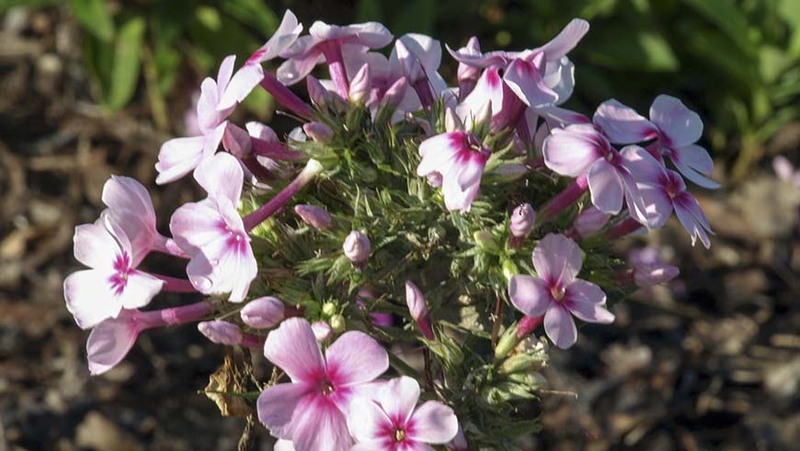 Last of the monardas to show powdery mildew- Light to Moderate; In spring 2017 new growth formed in a tight mound at the base of the original plant; attractive red colored spider shaped flowers; flowered from mid-July to mid-November. ; pollinator friendly. 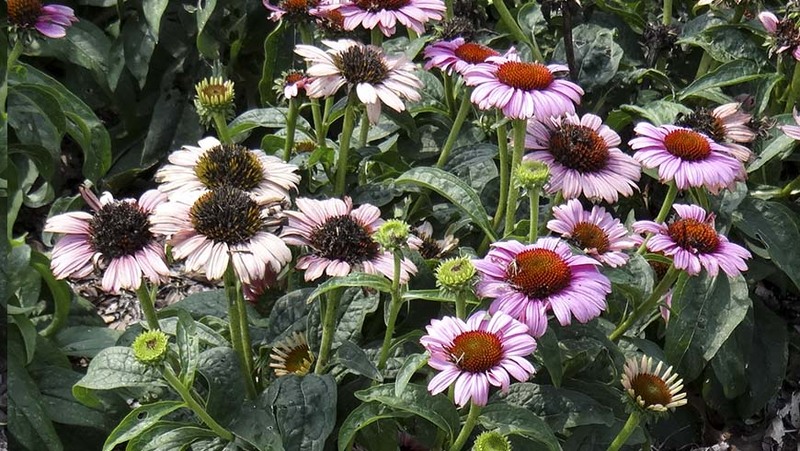 Last of the monardas to show powdery mildew- Light; In spring 2017 new growth formed in a large mound at the base of the original plant; attractive deep purple colored spider shaped flowers; flowered from August to mid-November; pollinator friendly. Last of the monardas to show powdery mildew- Light to Moderate; In spring 2017 the new growth formed a light spreading mat; attractive red colored spider shaped flowers; pollinator friendly. 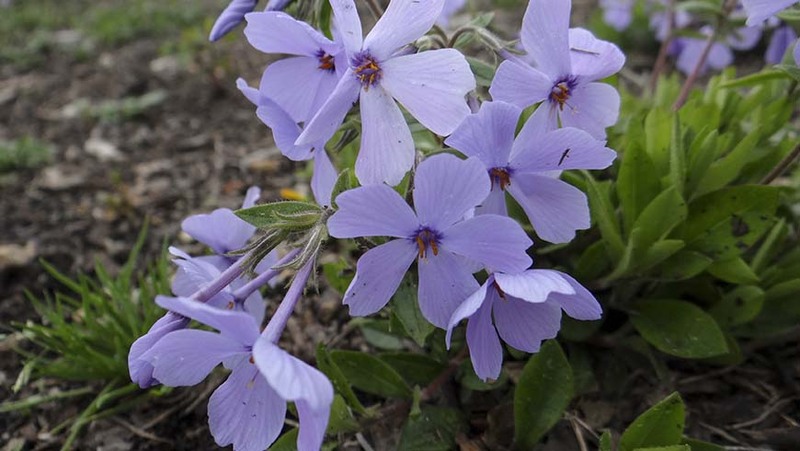 Silvery colored foliage; small purple flowers; flowered from mid-August to mid-October; all dead by December. 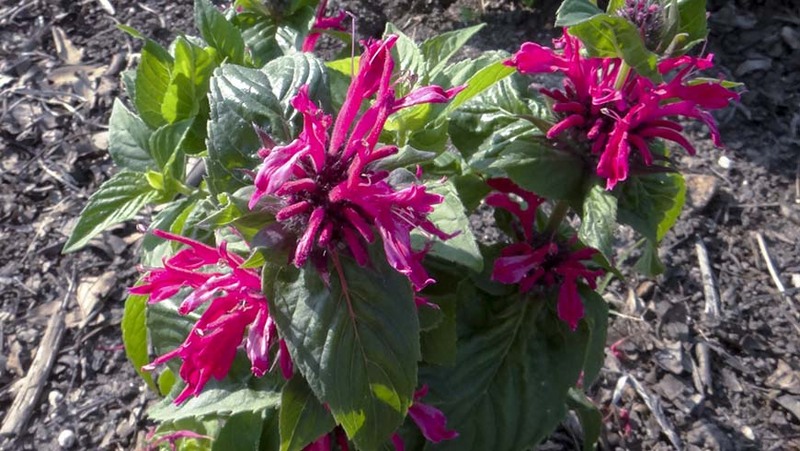 Sprawling, dark green foliage; flowers are a deep pink color; flowered from July to early October. 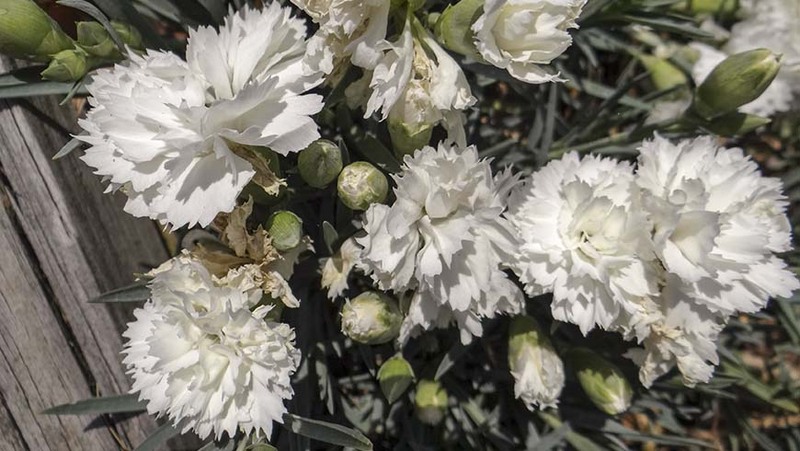 Sprawling, dark green foliage; Evergreen foliage; flowers are a crisp, clean white color; flowered from June to early November. 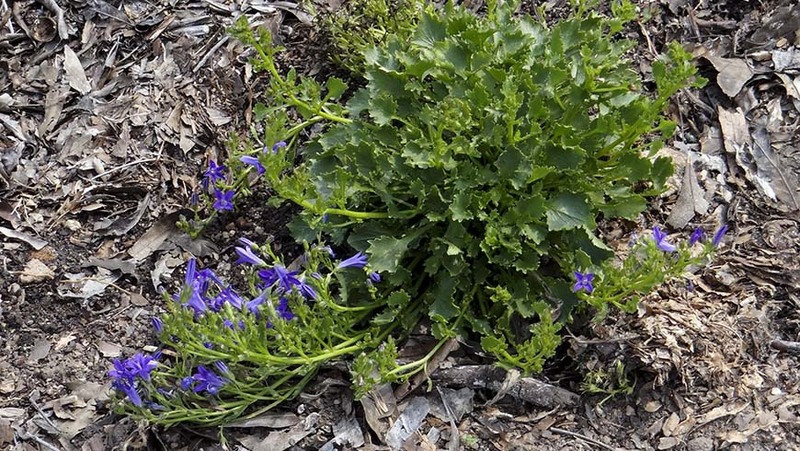 Flat to the ground, green leafed groundcover; Leaves are small and round shaped- giving an interesting texture; flowers are a lavender/pale blue; didn't flowered until February 2017. 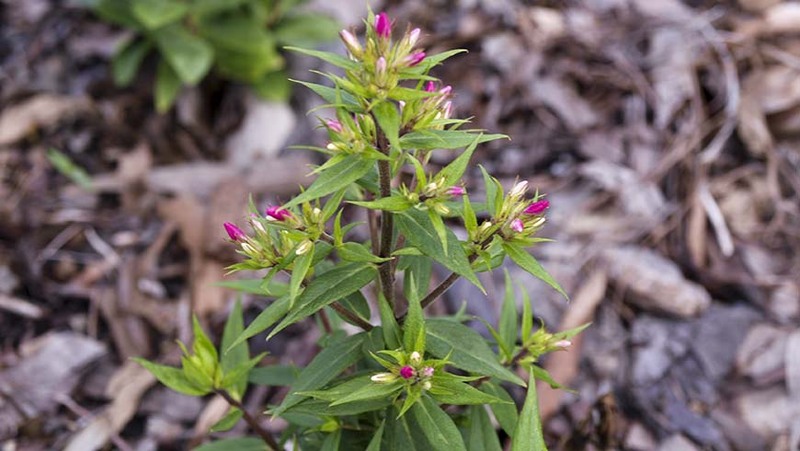 Flat to the ground, green leafed groundcover; Leaves are small and round shaped- giving an interesting texture; flowers are a light pink color; didn't flowered until February 2017. 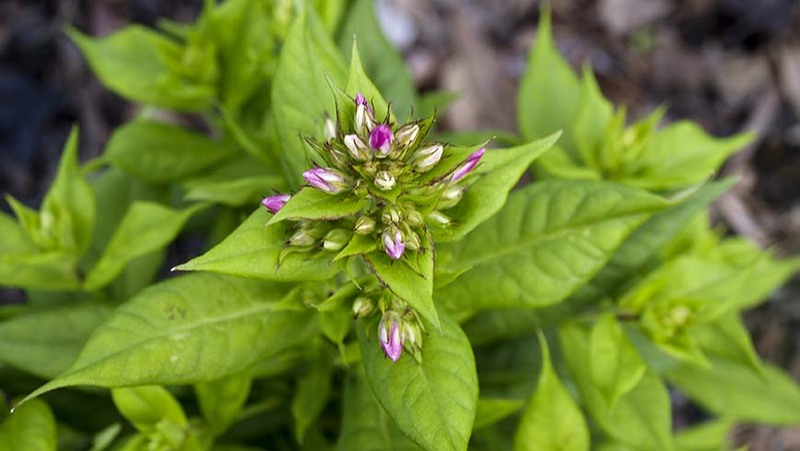 Uniform, mounding plant habit; flowers are a red color; flowered from mid-July thru October. 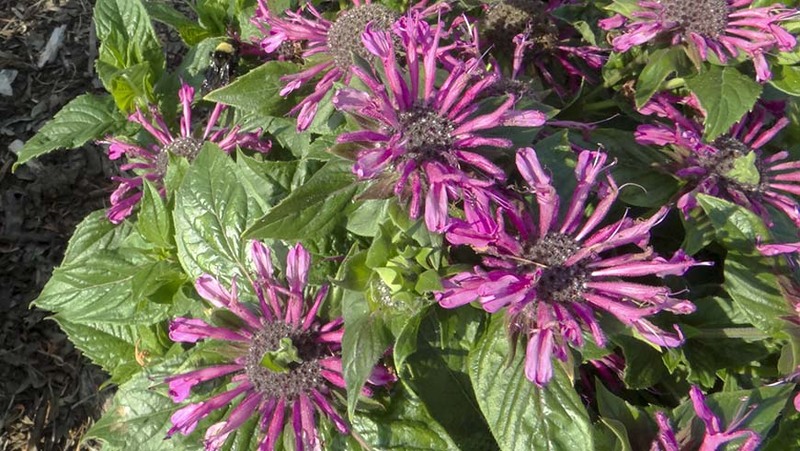 Sprawling, dark green foliage; flowers are a light pink color with a dark eye; flowered from late-June to late-November. 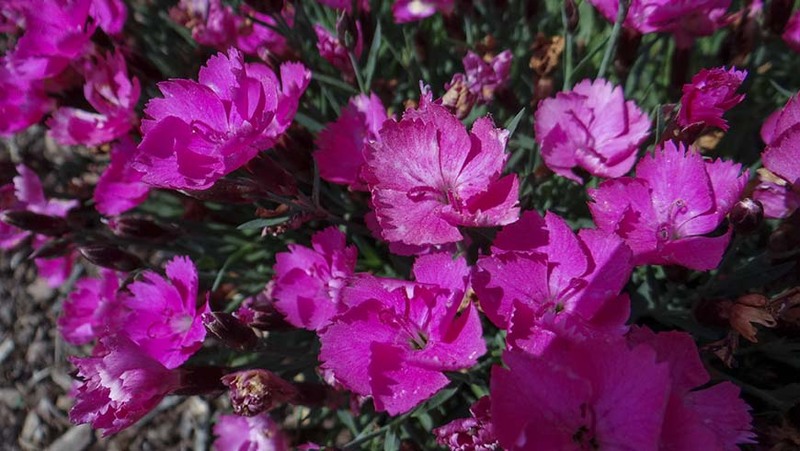 Uniform, mounding plant habit; Multi Confetti Early 1 is a mix of light pink with dark eye and deep pink colored flowers; flowered from mid-July to mid-October. 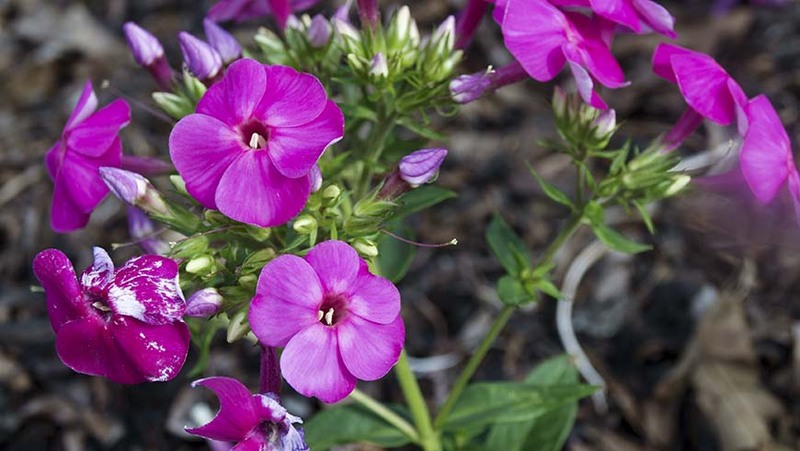 Uniform, mounding plant habit; Multi Confetti Flame 1 is a mix of white, pink, and coral colored flowers; flowered from mid-July to October. 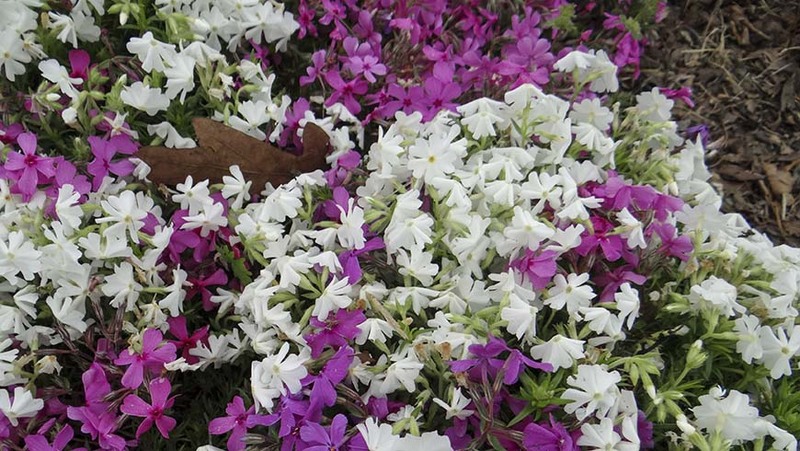 Uniform, mounding plant habit; needle-like green leaves; Evergreen foliage; Multi Confetti Spring 1 is a mix of pink and white colored flowers; flowered from late October to late spring. 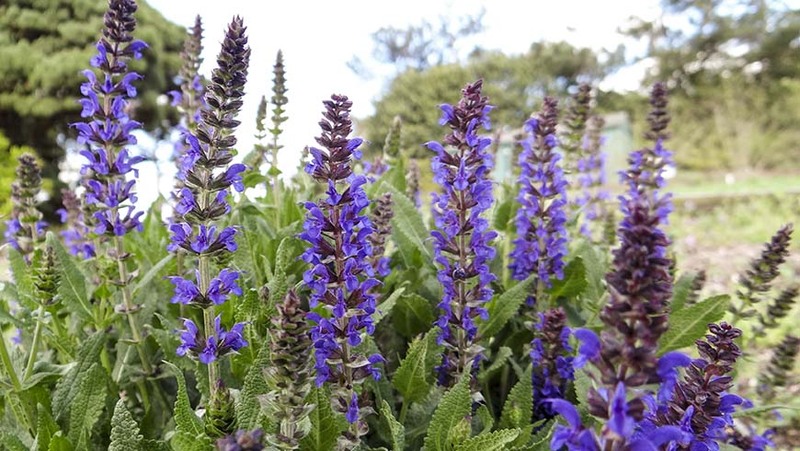 Uniform, mounding plant habit; flowers are a dark purple color; flowered from late-June thru mid-October. 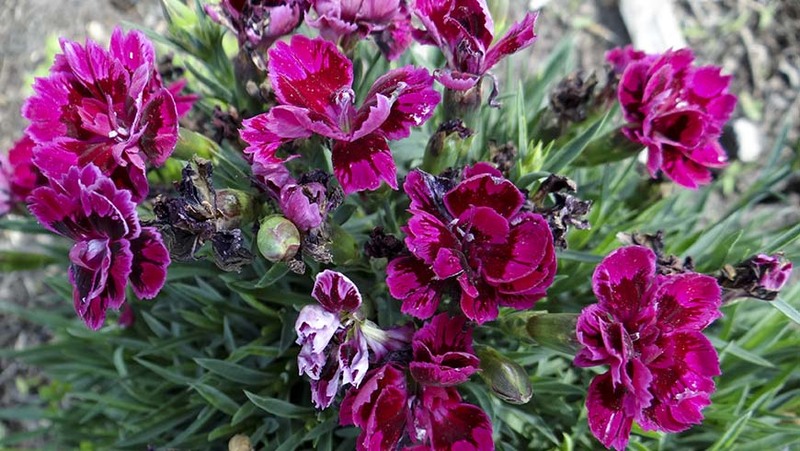 Never established; dark purple flower color; flowered end of May to early June; dead by July. 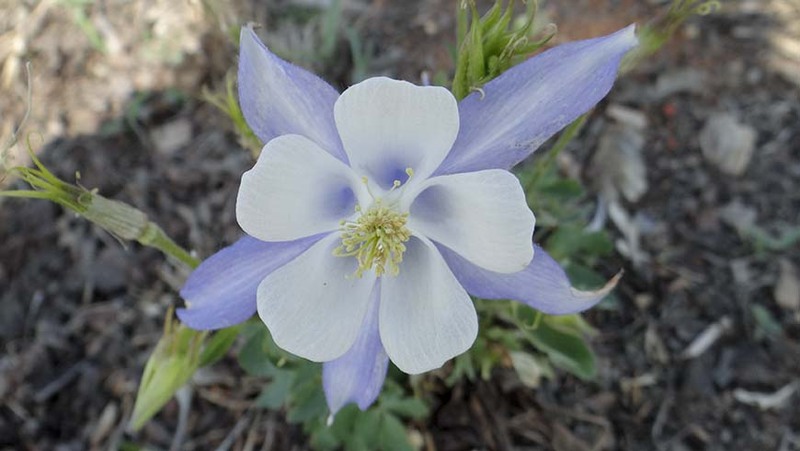 Low maintenance; Combination of Salute Pink, S. Deep Blue and S. Ice Blue - unfortunately Salute Deep Blue faded out from the mix early in the season; Flowered from July to December. 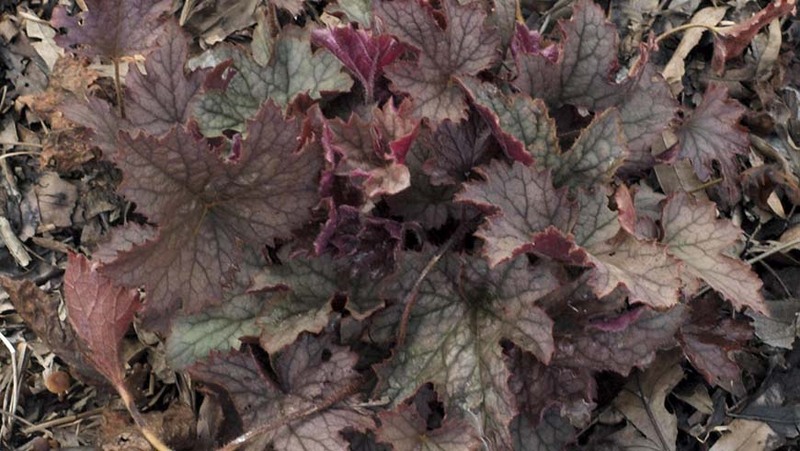 Low maintenance; compact growth habit; Beautiful dark purple colored foliage; never flowered; Survived until the first hard freeze in mid November. 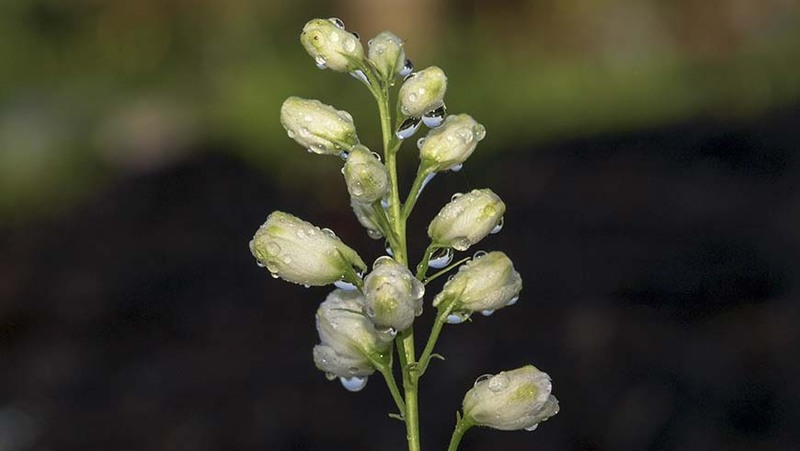 Interesting flower shape- tapered, triangular shaped; long white flower heads; Symmetrical, prostrate, green large leaves; formed uniform clumps. 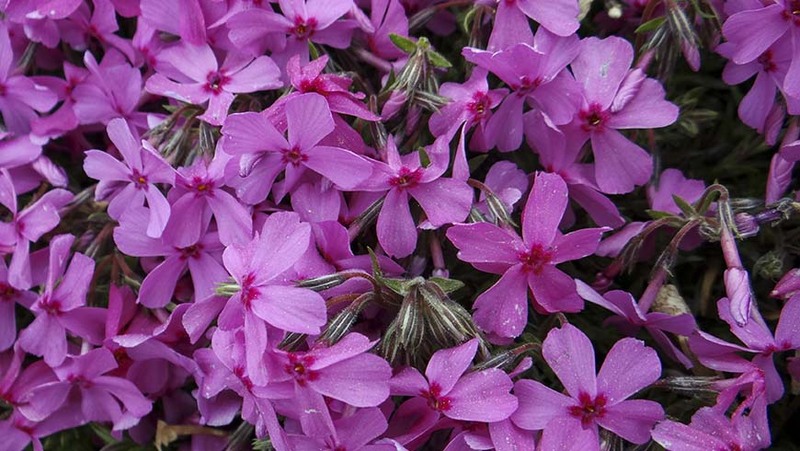 Attractive winter color- purple colored foliage; dense, symmetrical, uniform, prostrate clumps; narrow leaves; flowers are above the foliage; triangular shaped purple colored flower heads that are very sturdy.